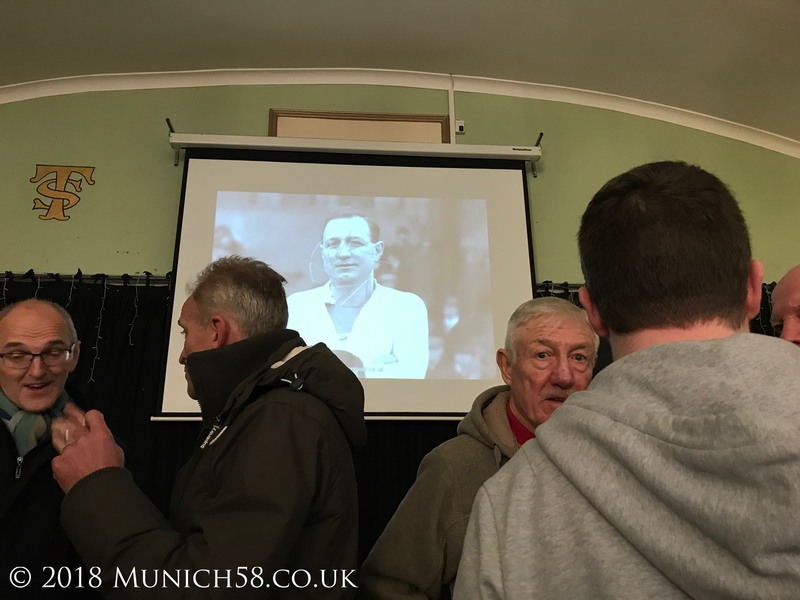 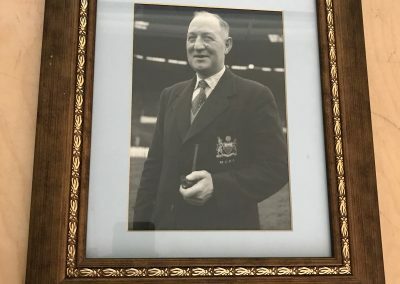 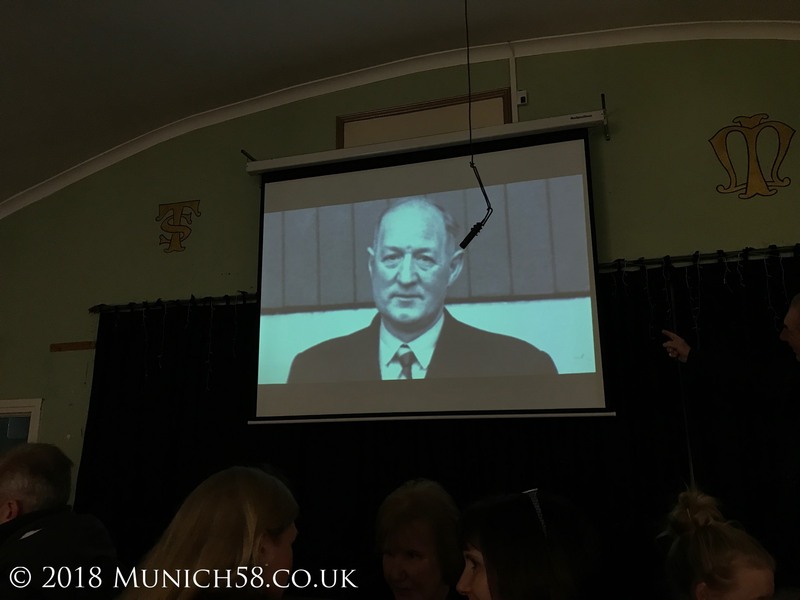 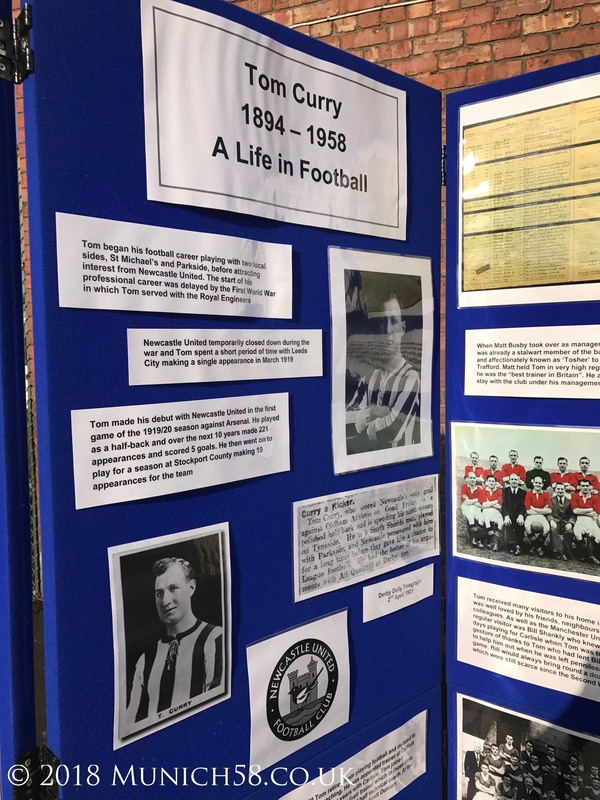 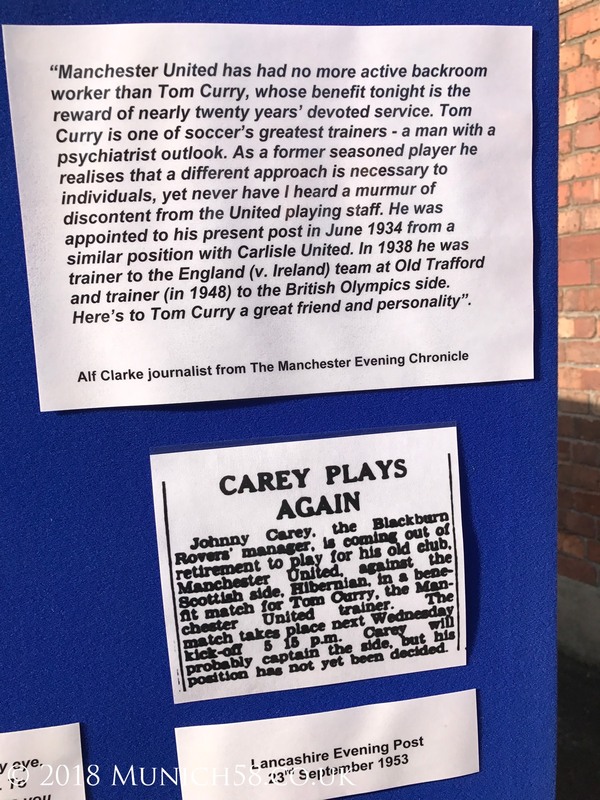 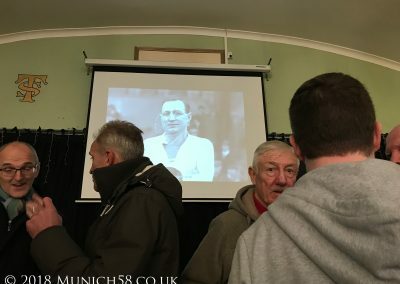 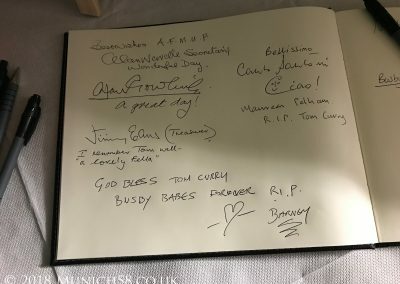 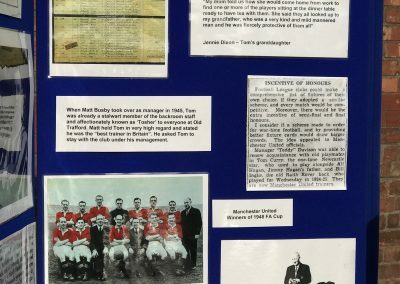 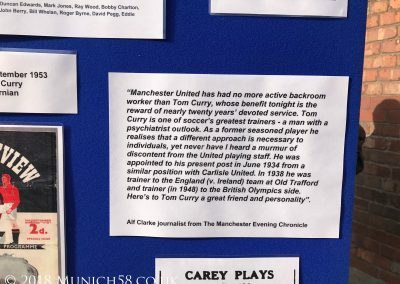 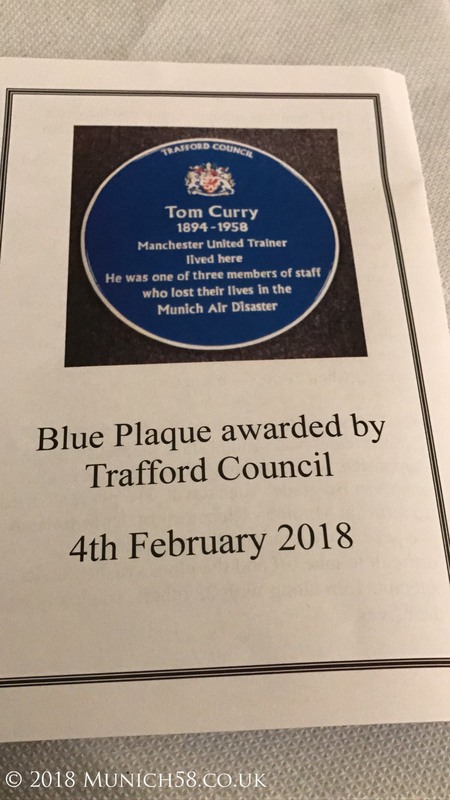 On Sunday 4 February 2018, a special event took place to honour Manchester United’s well-loved trainer, Tom Curry. 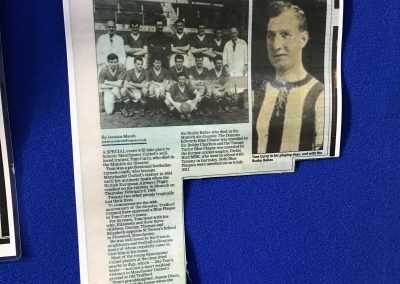 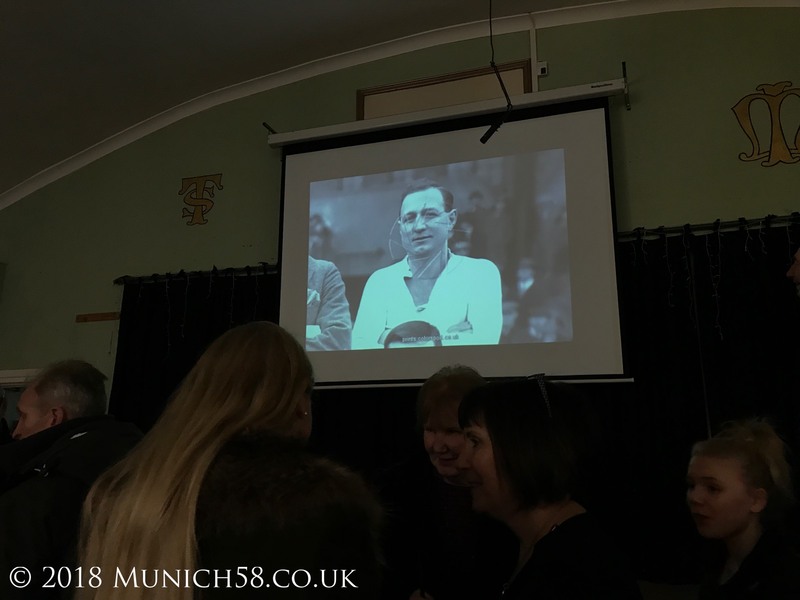 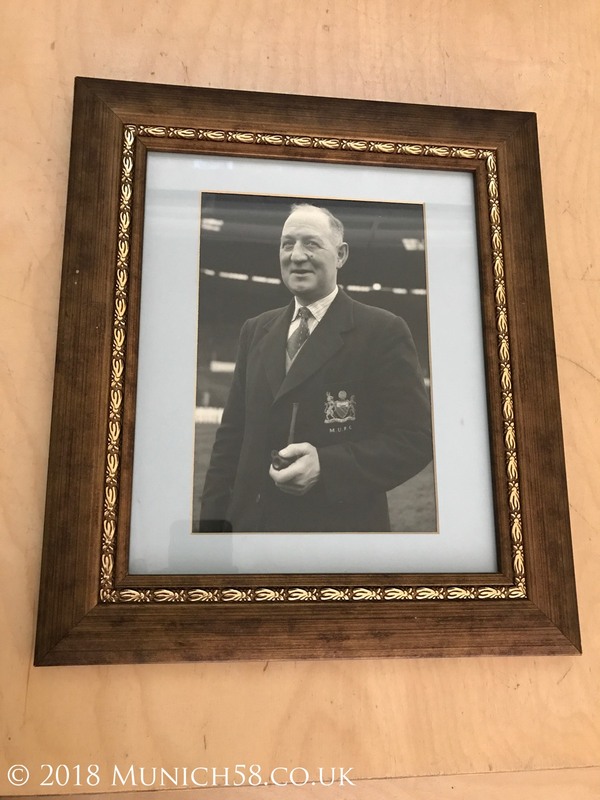 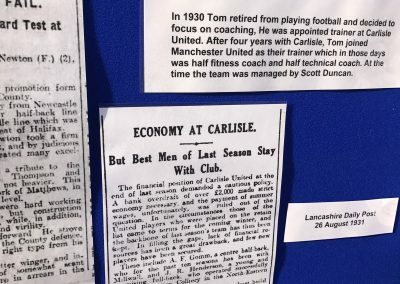 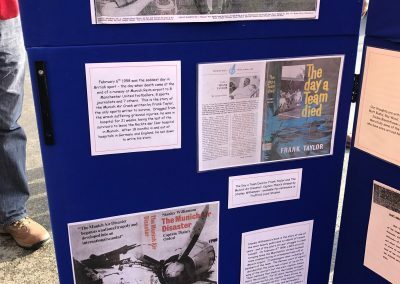 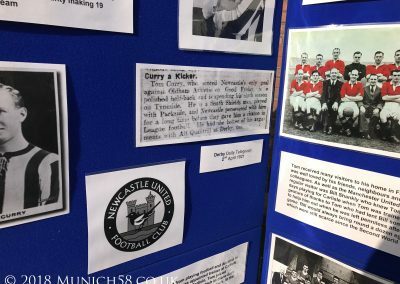 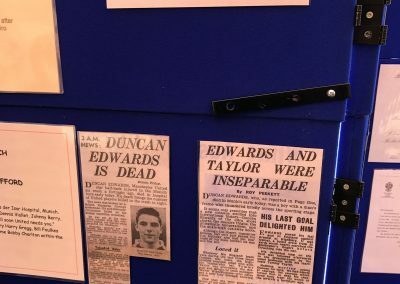 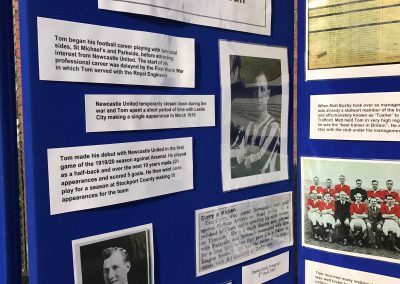 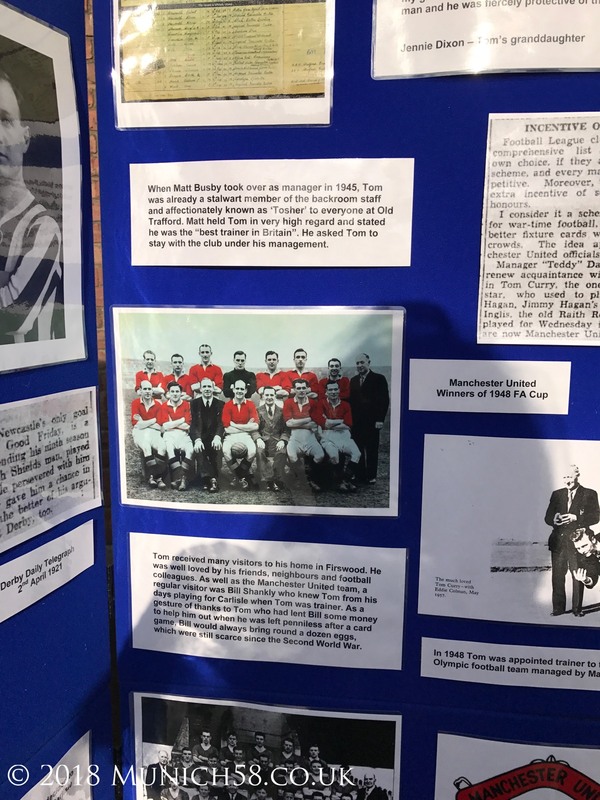 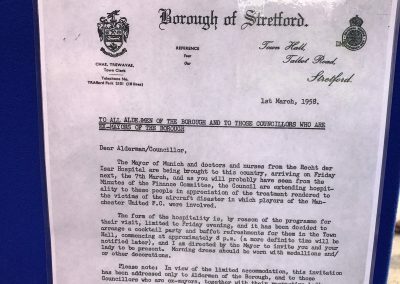 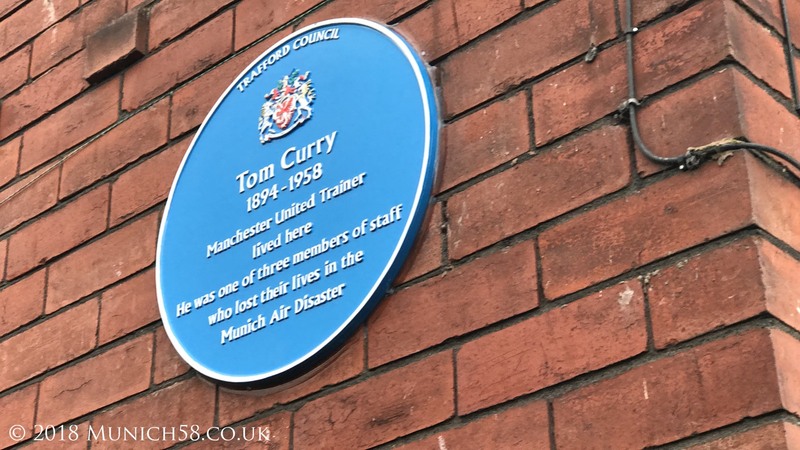 Tom was a professional footballer-turned-coach, who became Manchester United’s trainer in 1934 until his untimely death in the Munich air disaster. 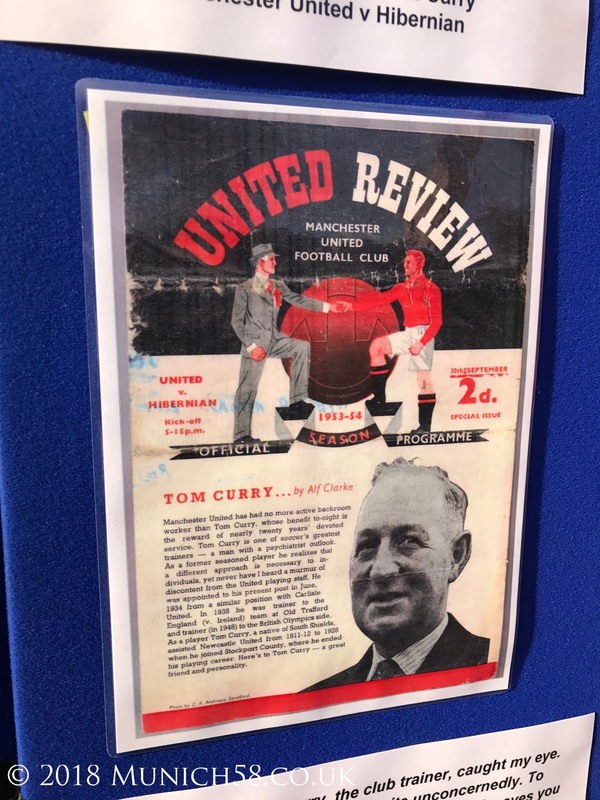 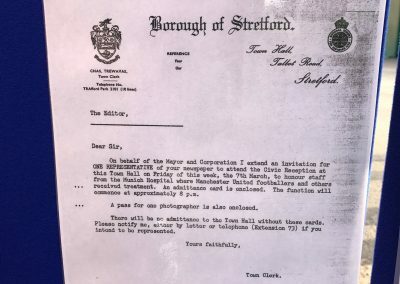 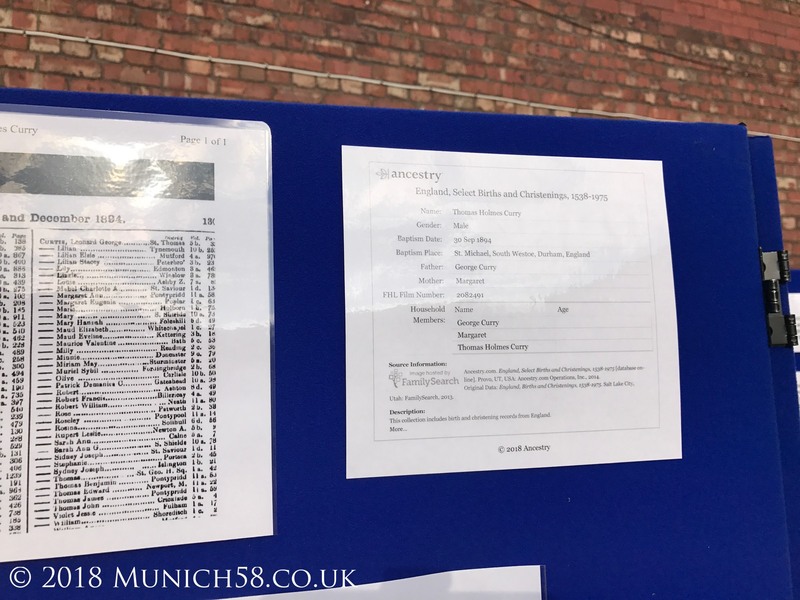 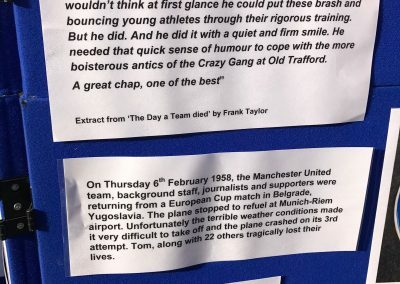 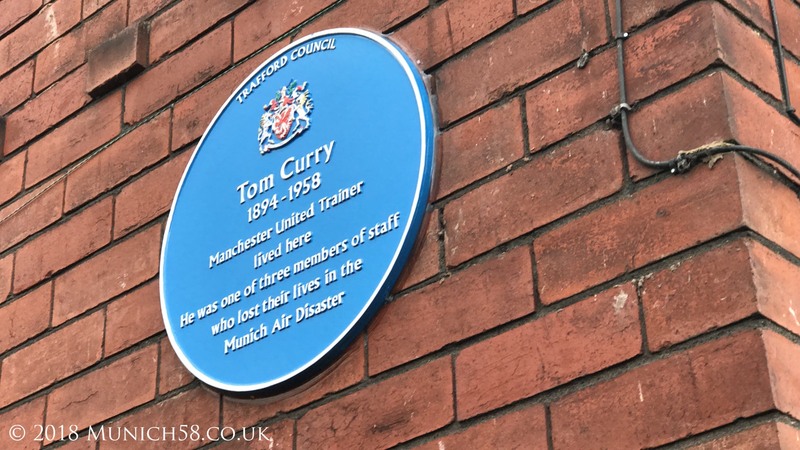 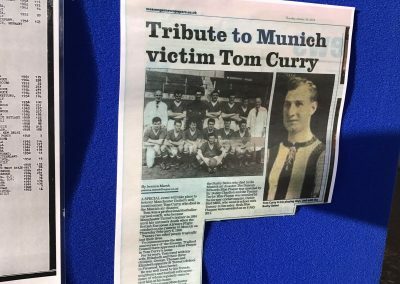 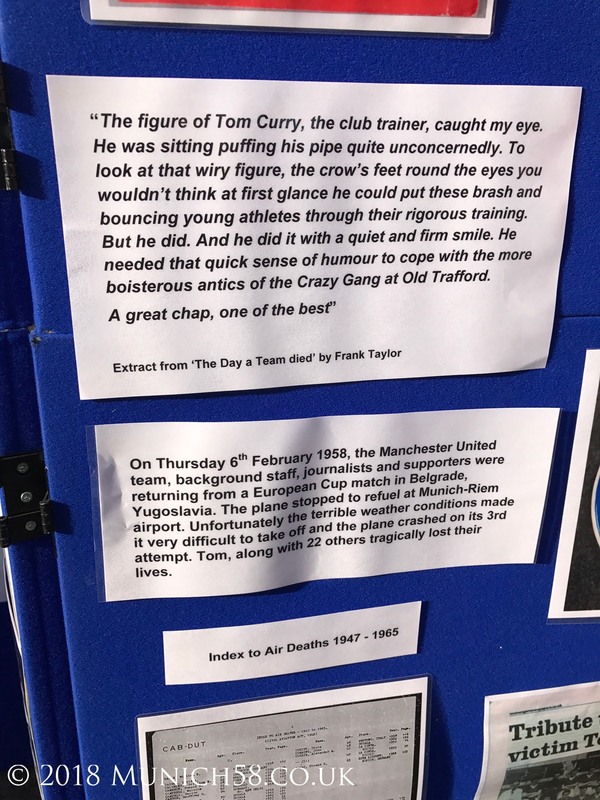 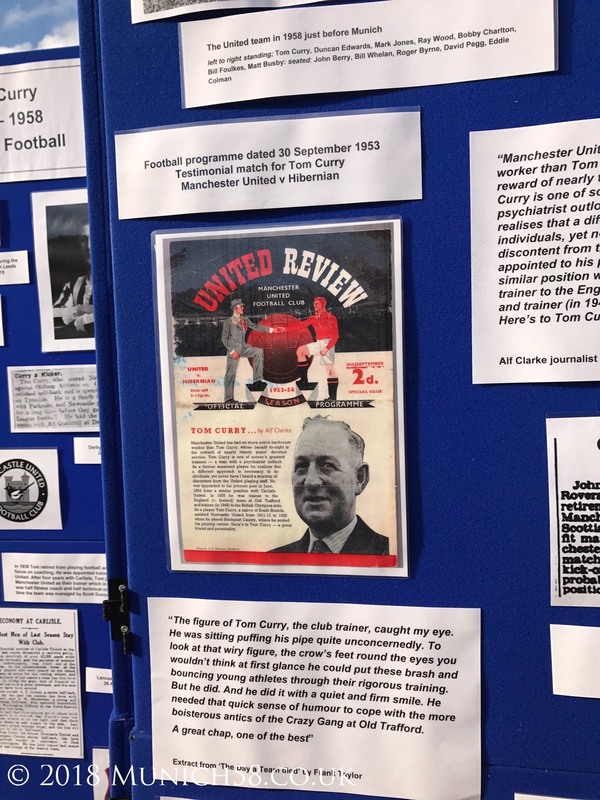 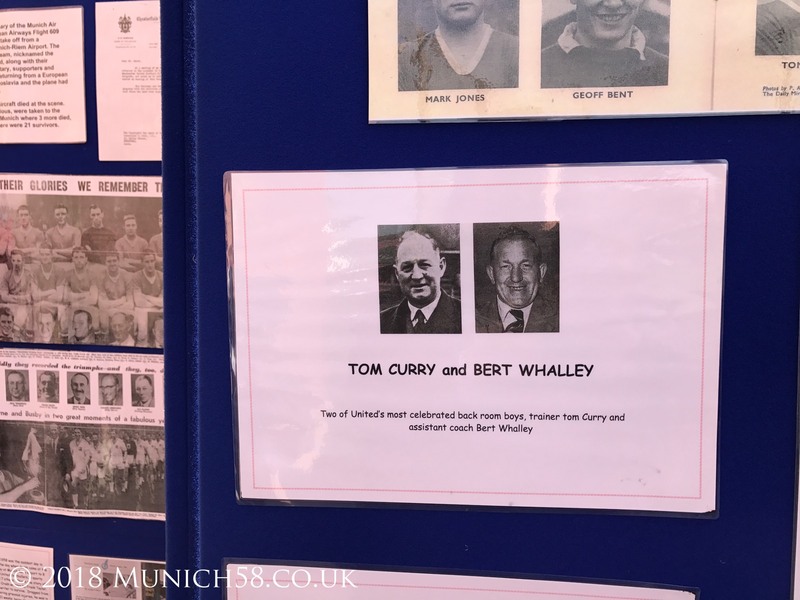 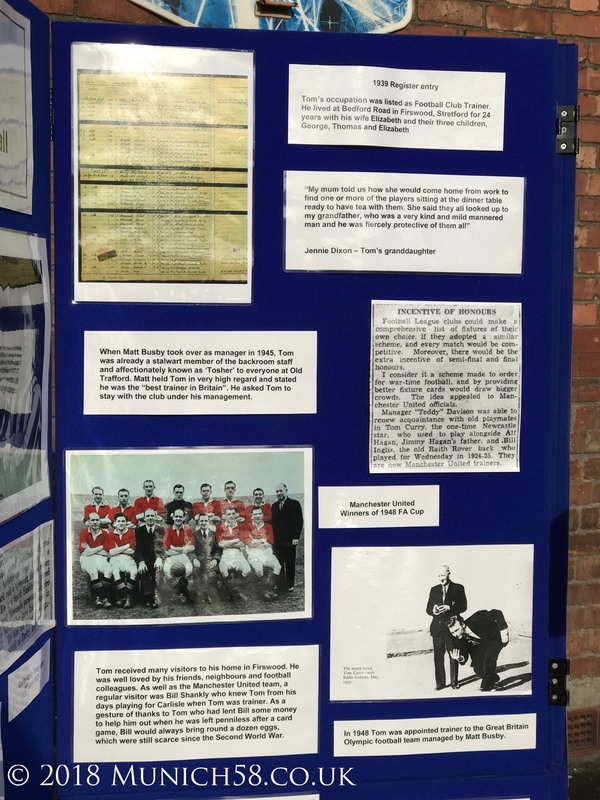 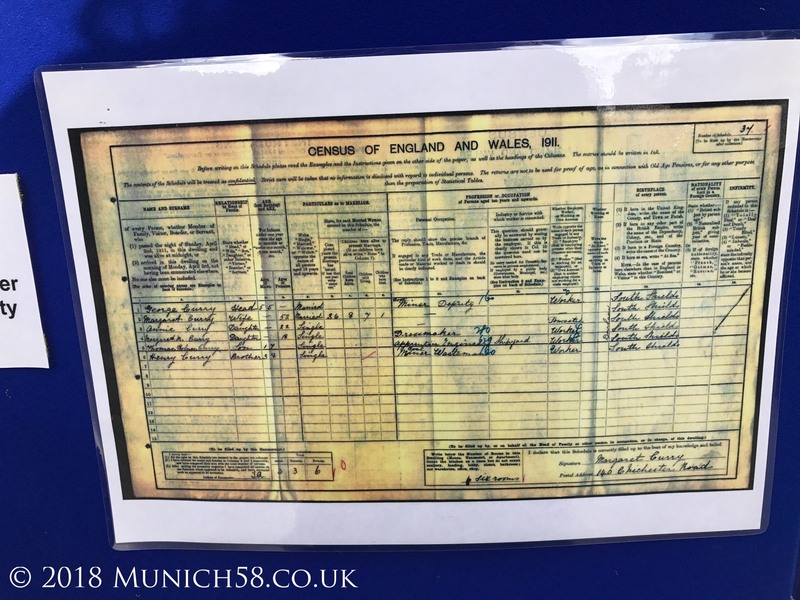 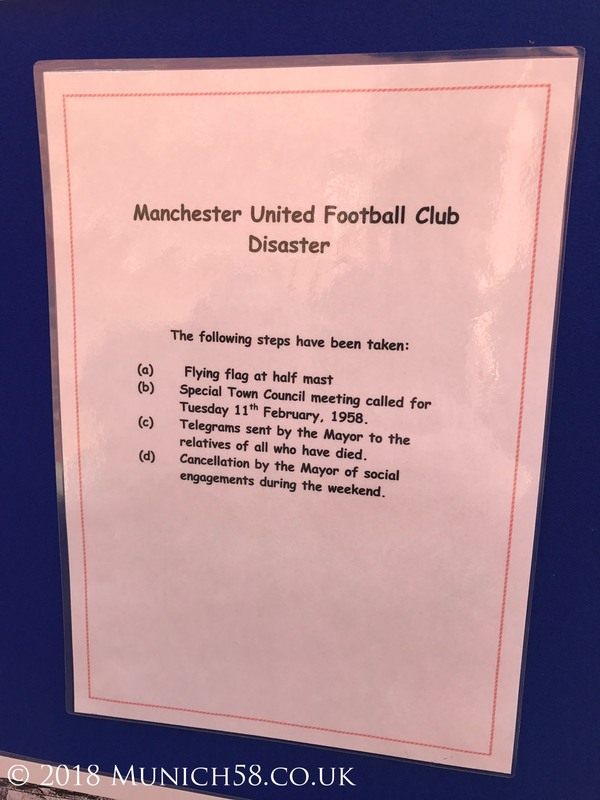 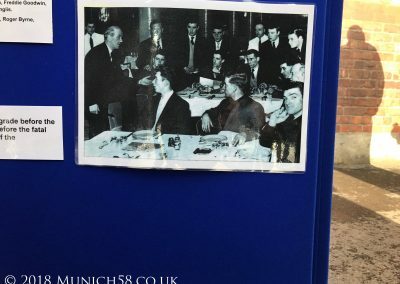 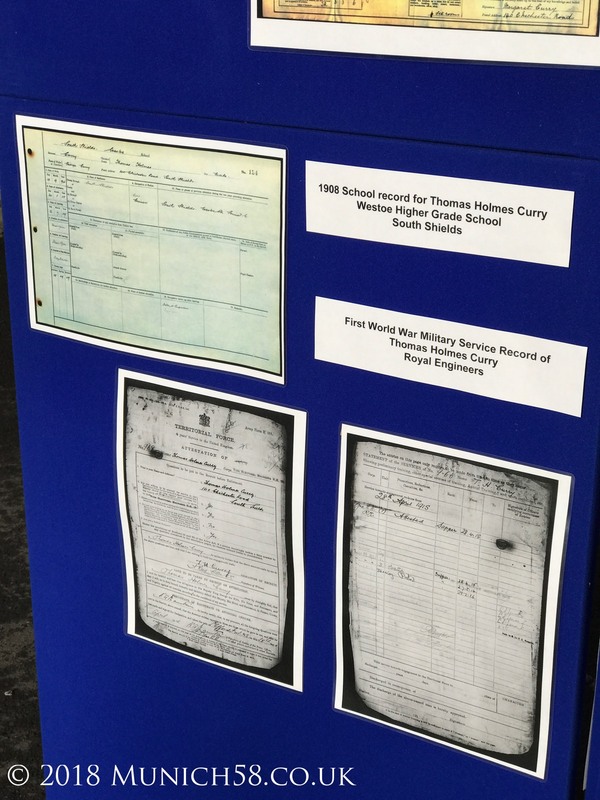 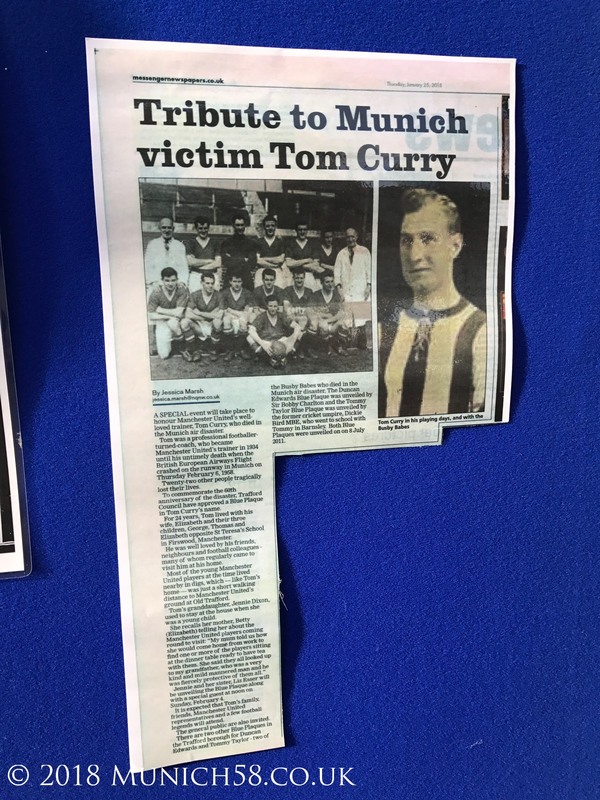 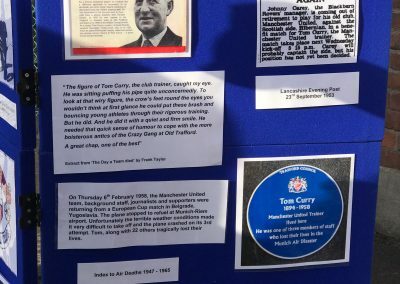 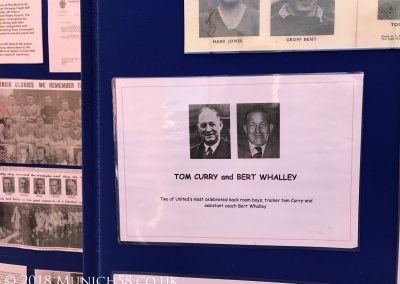 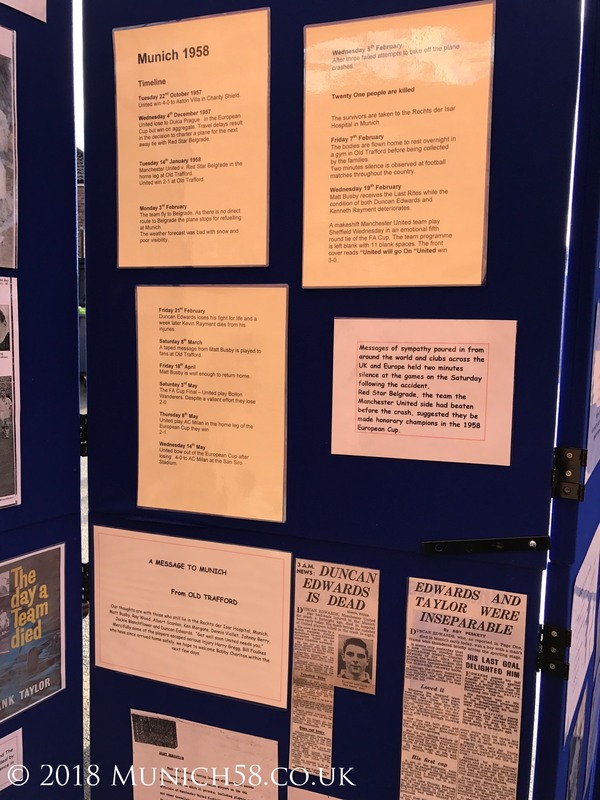 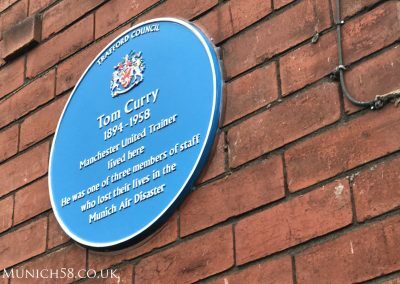 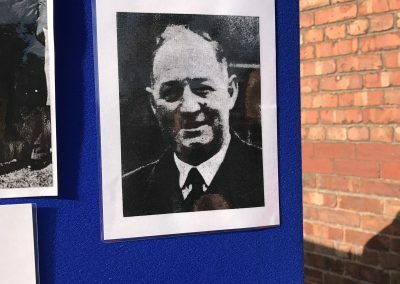 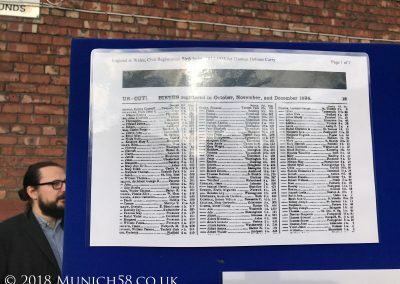 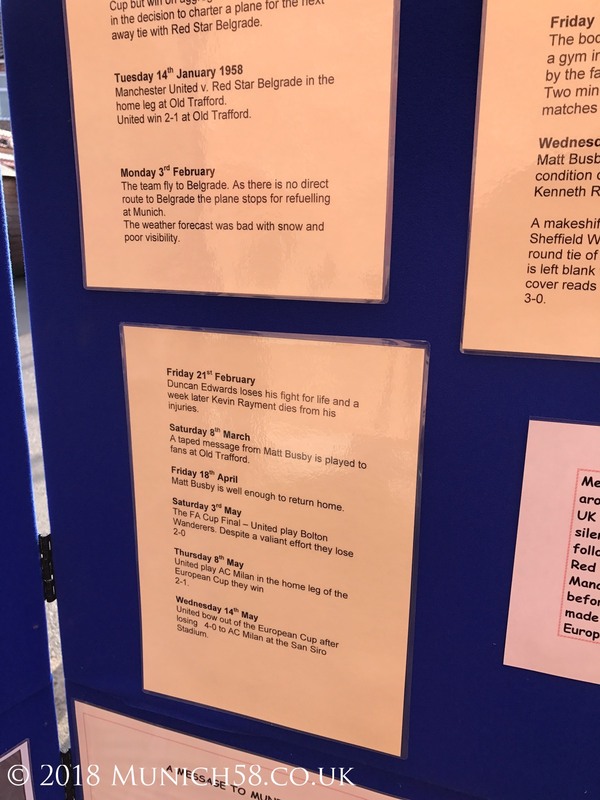 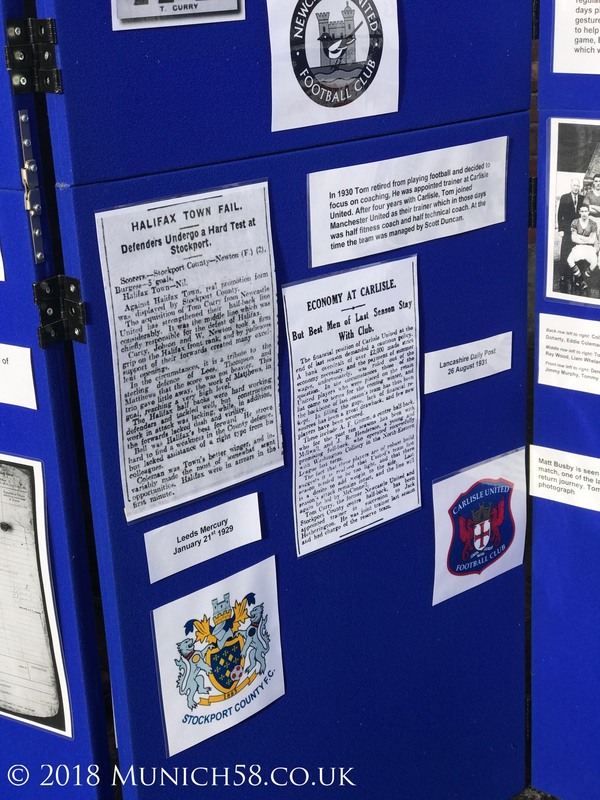 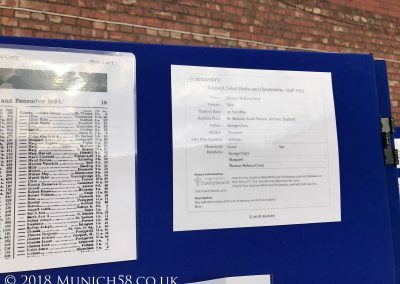 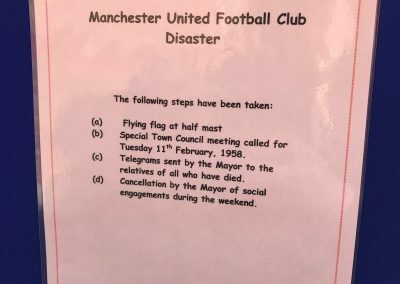 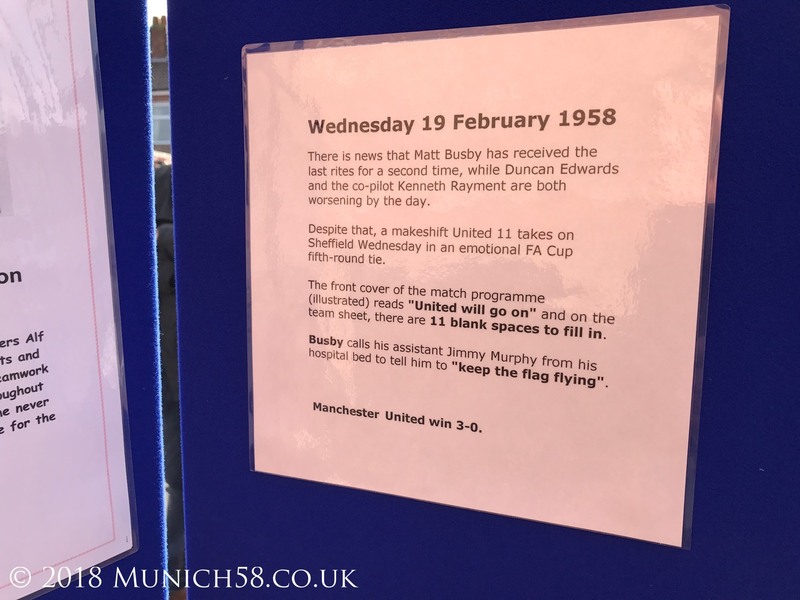 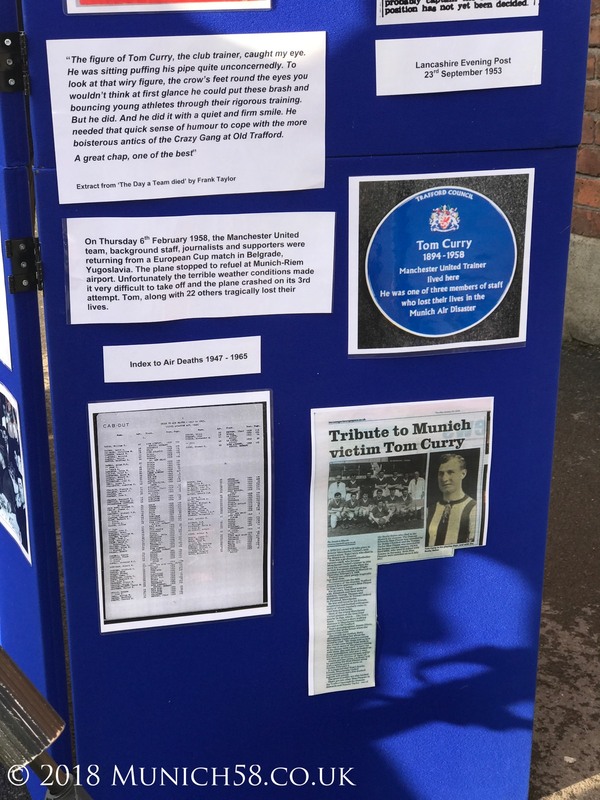 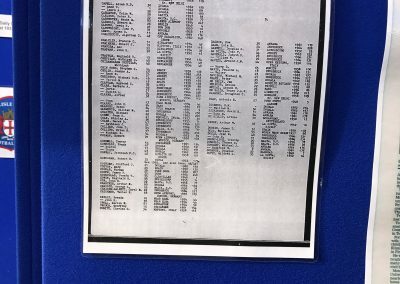 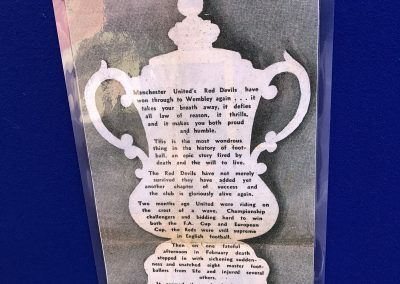 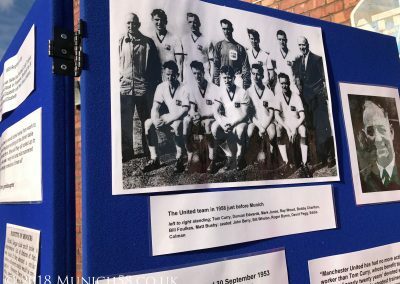 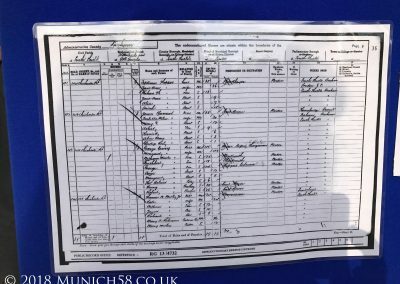 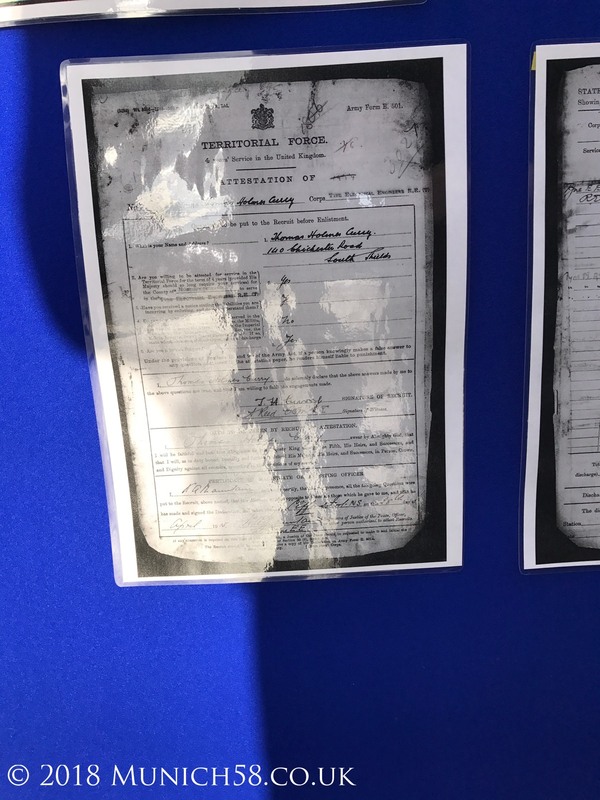 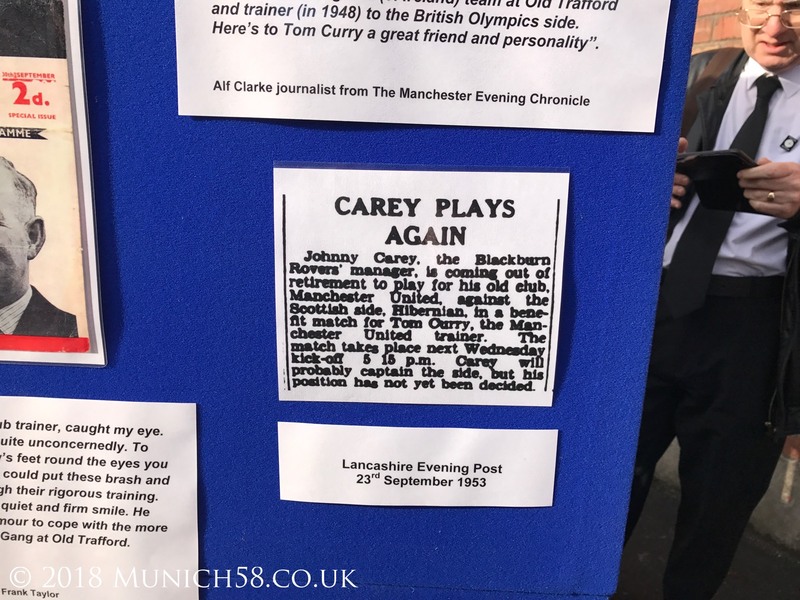 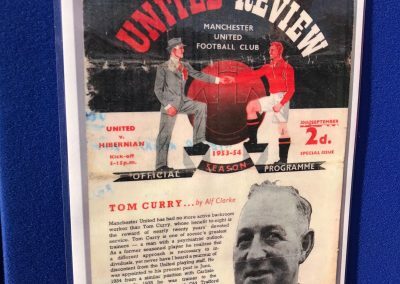 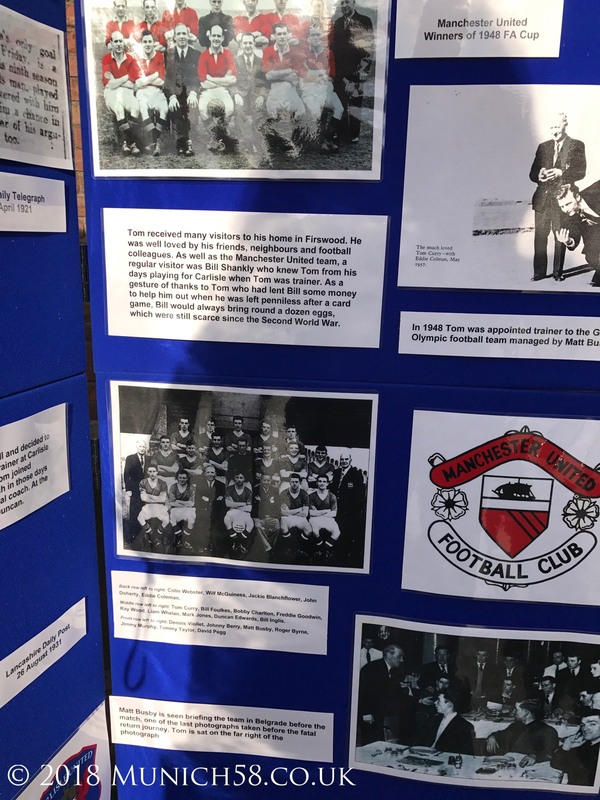 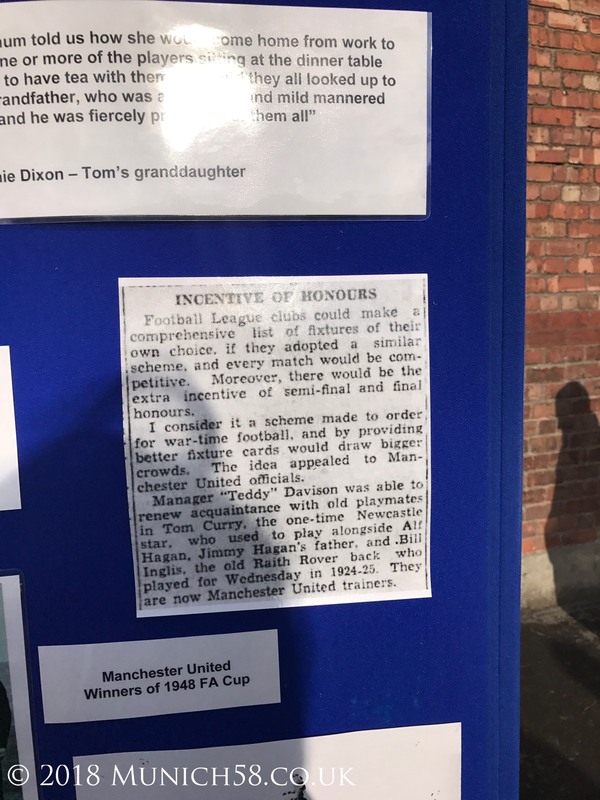 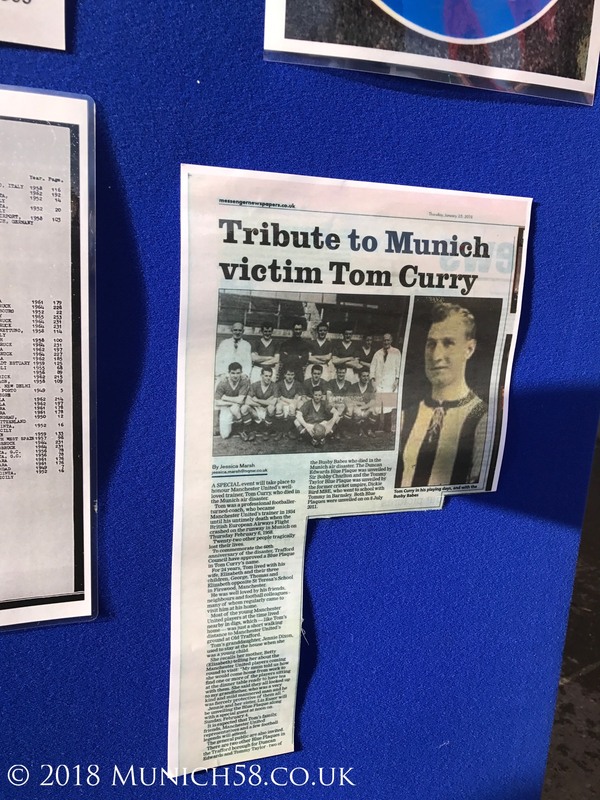 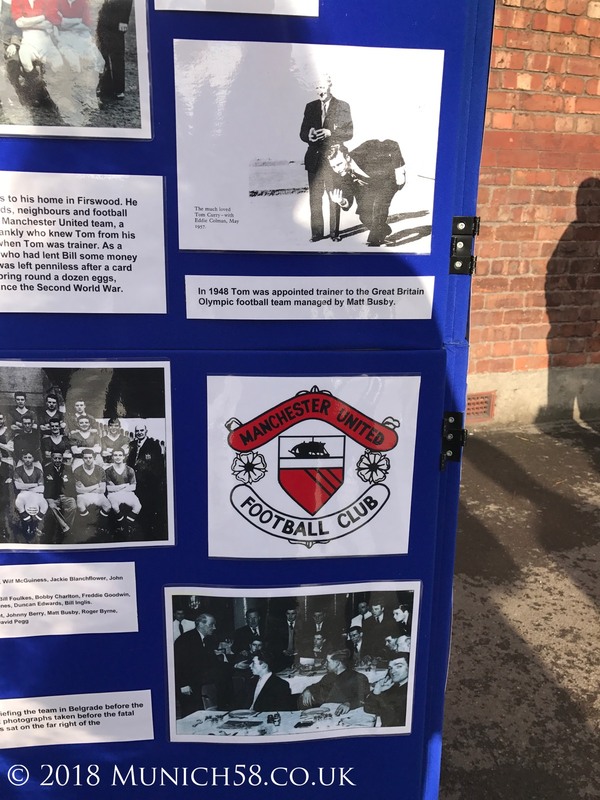 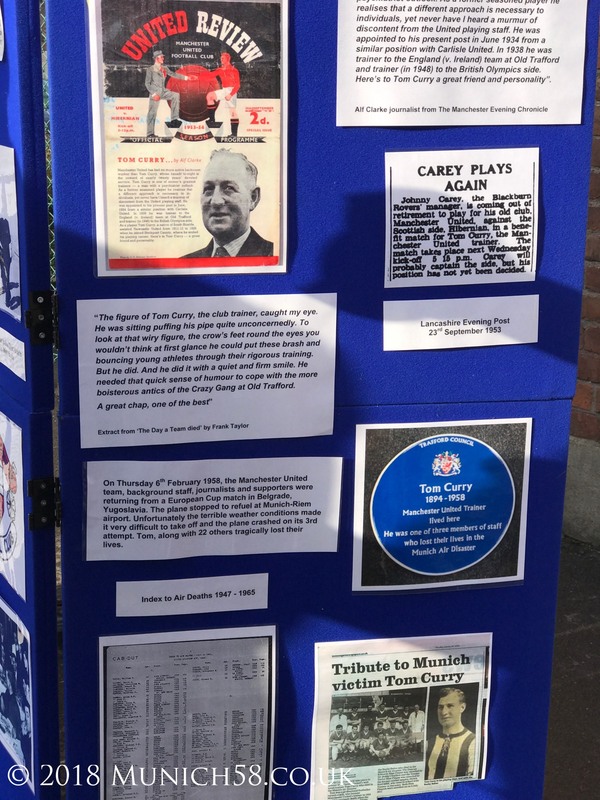 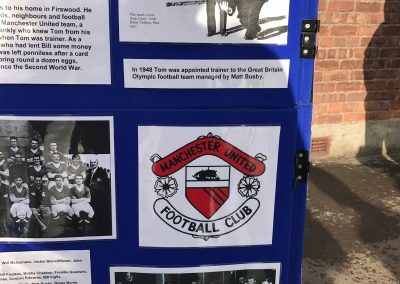 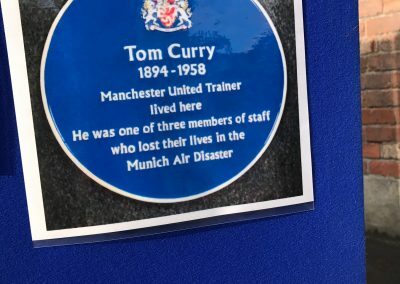 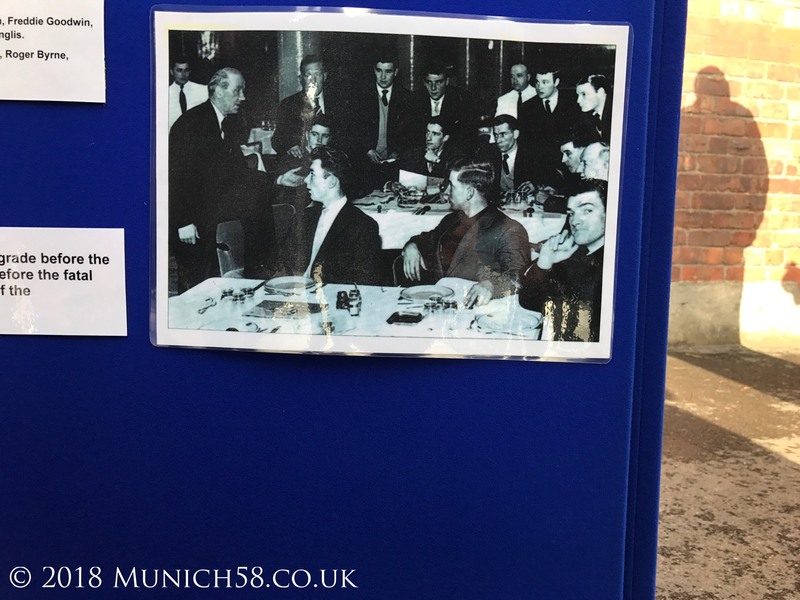 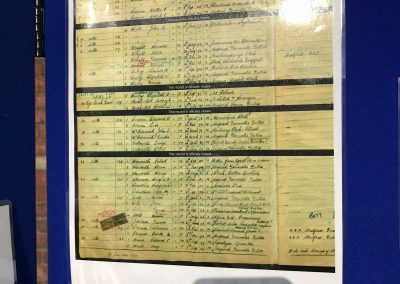 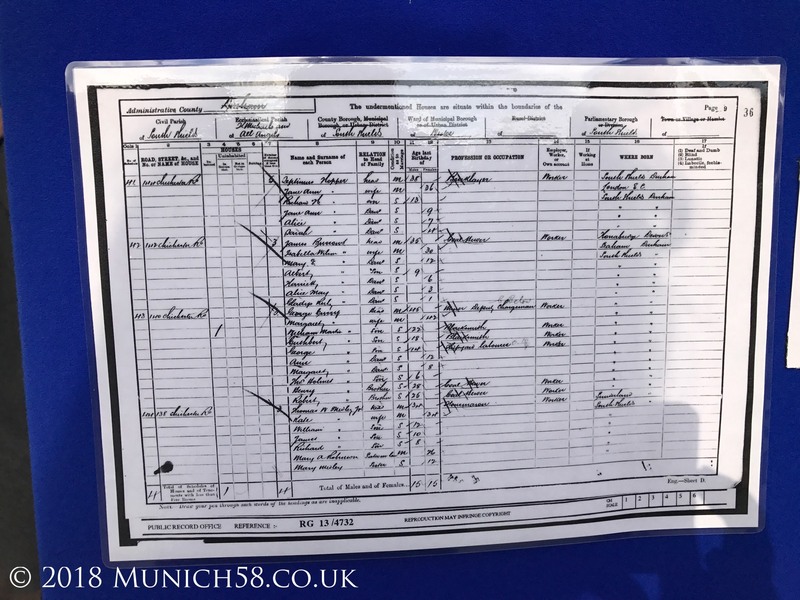 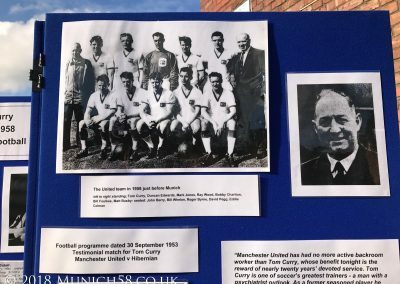 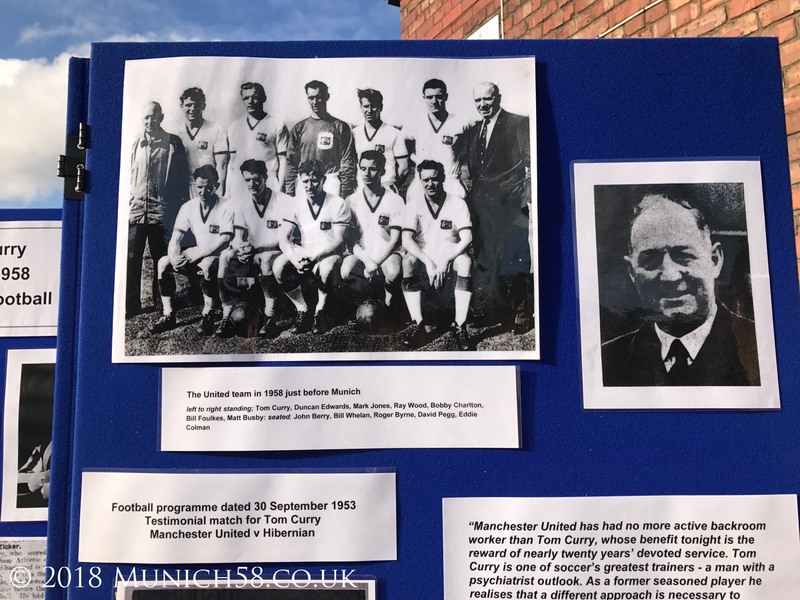 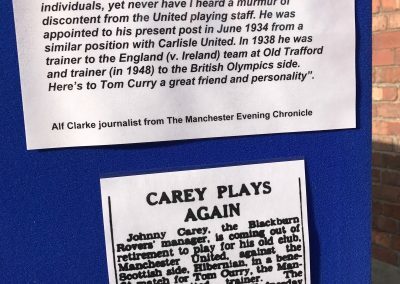 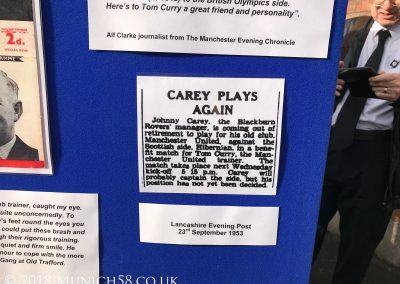 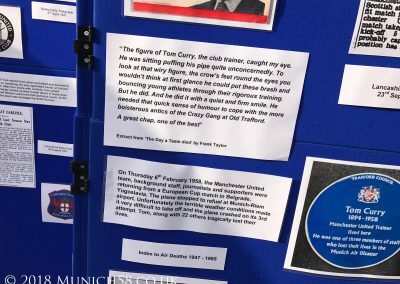 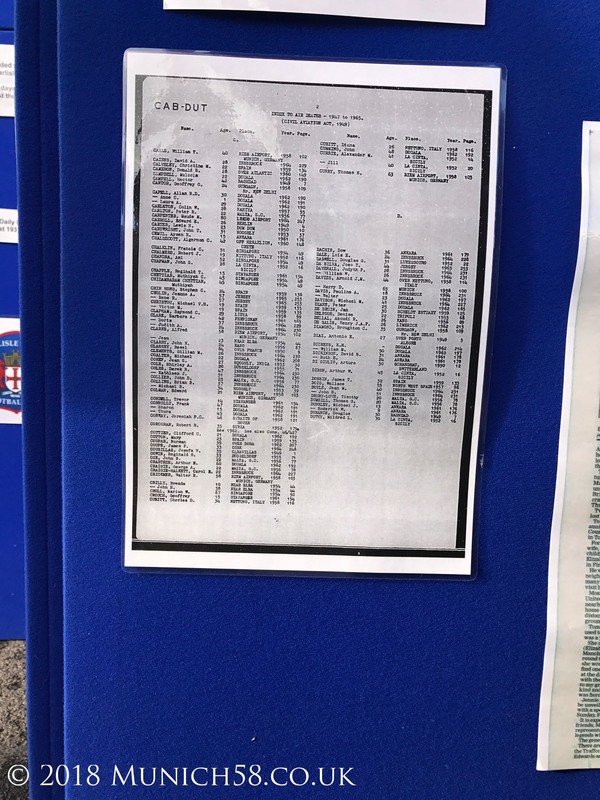 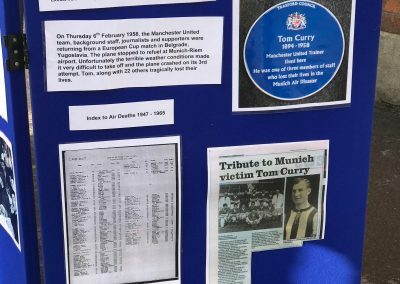 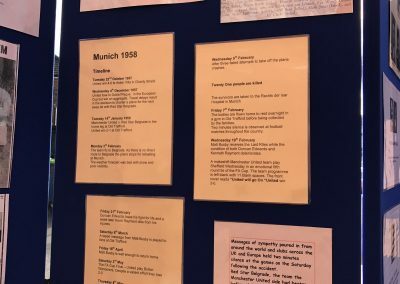 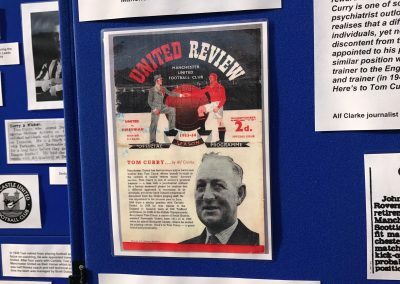 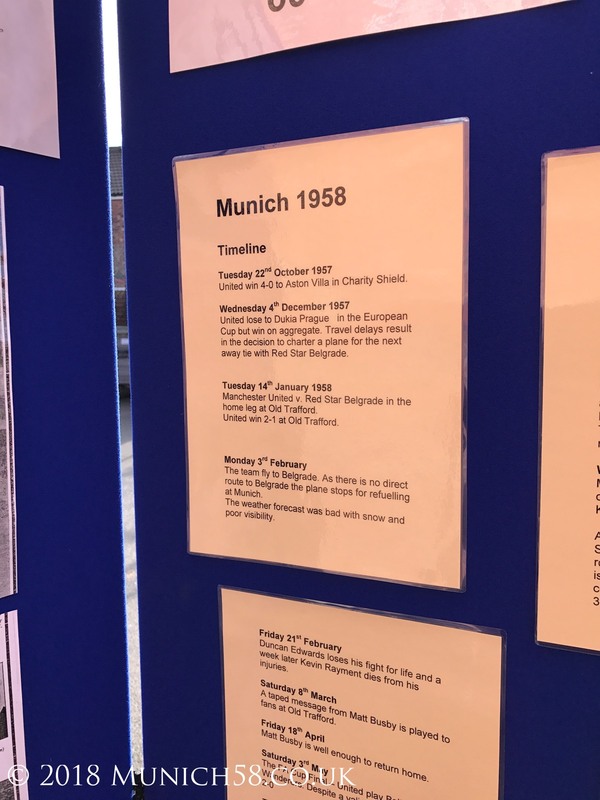 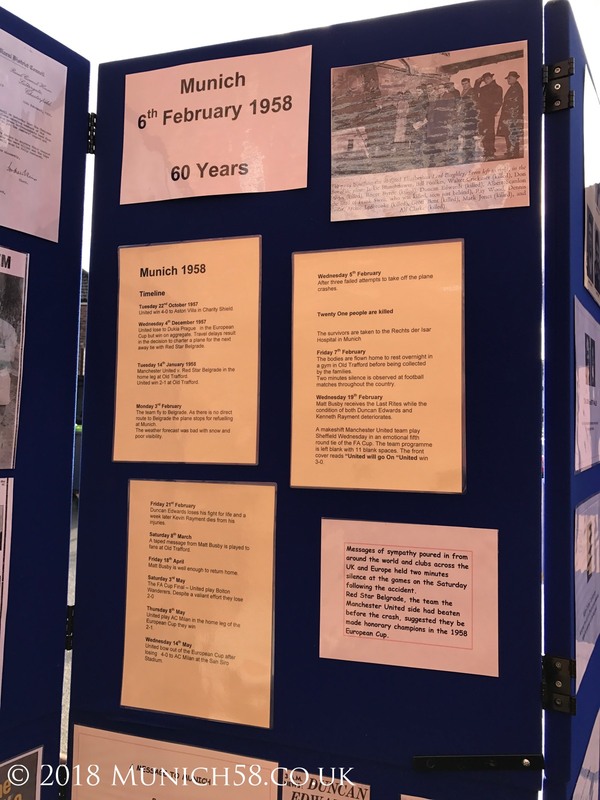 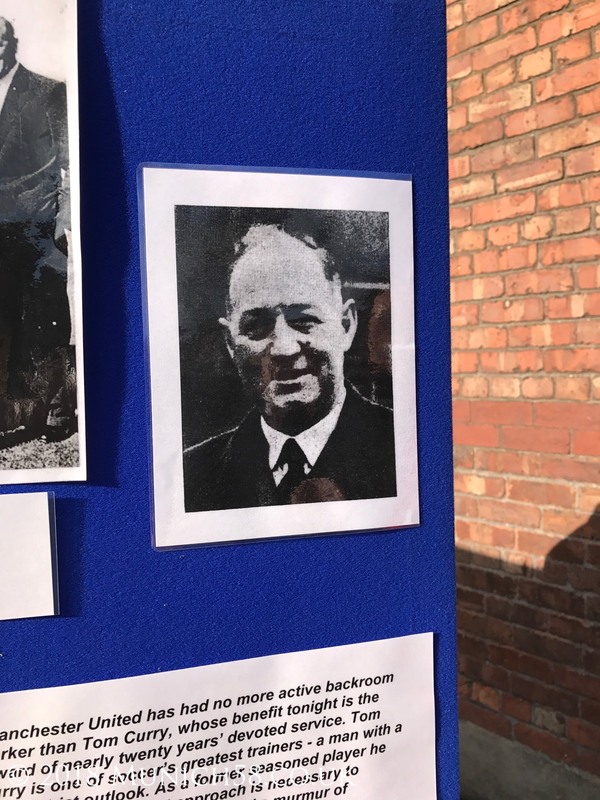 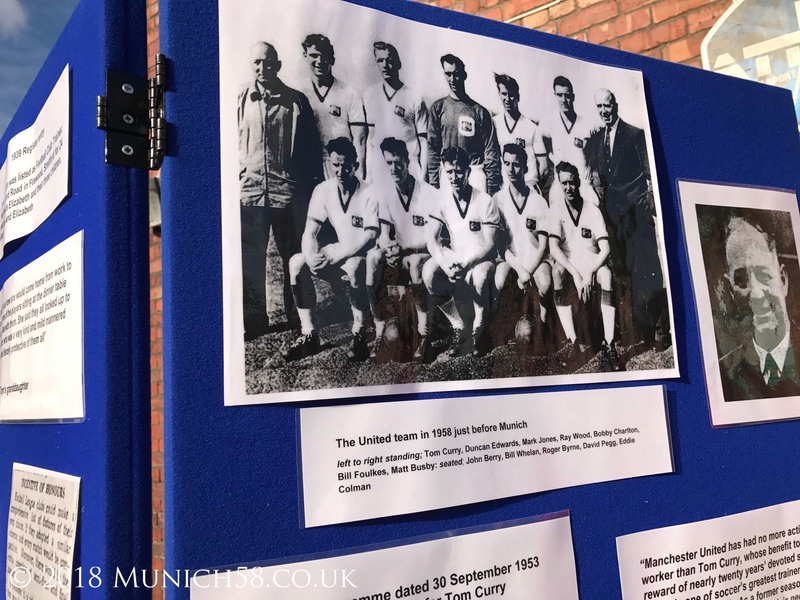 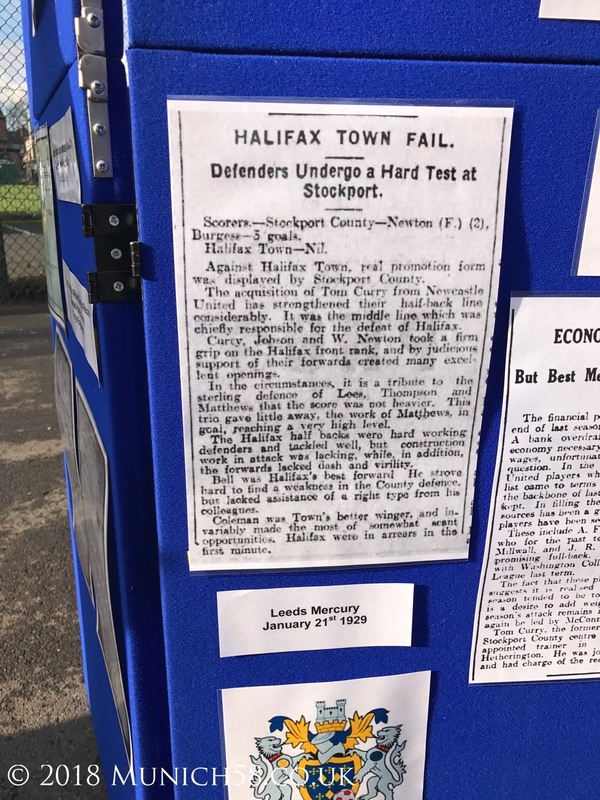 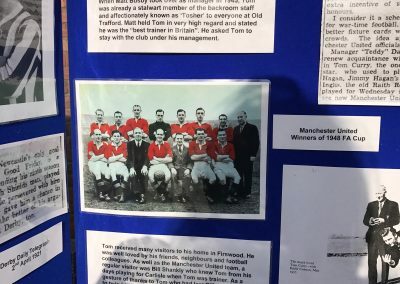 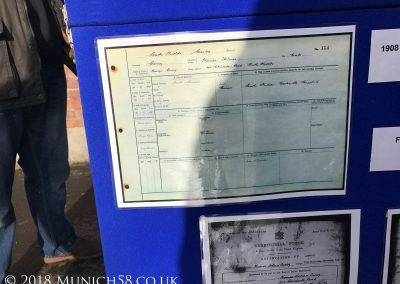 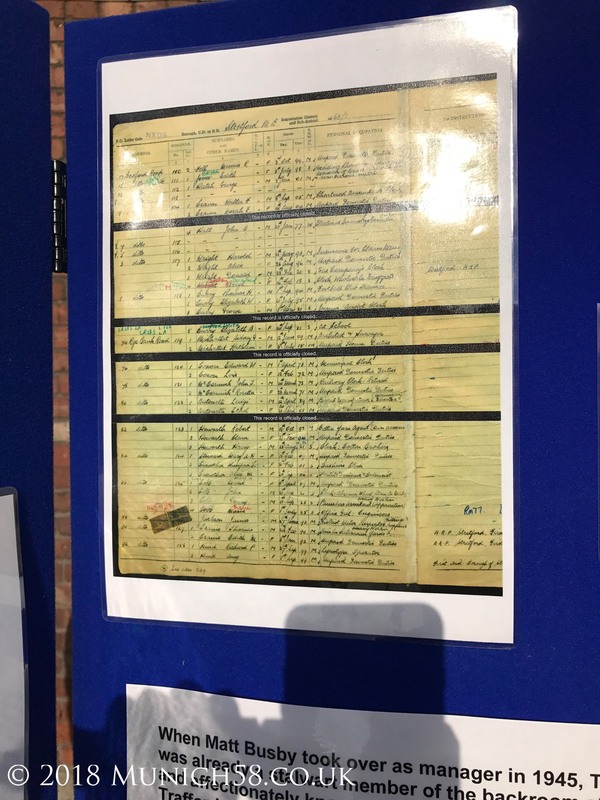 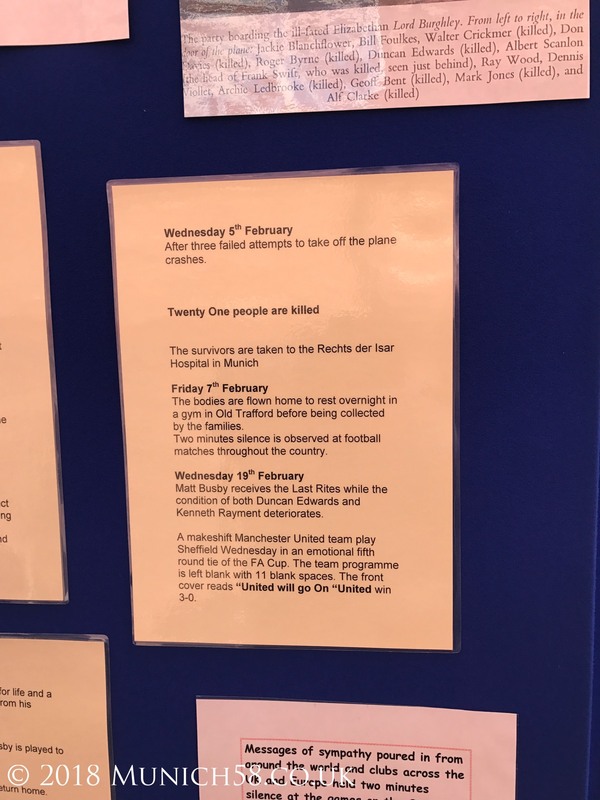 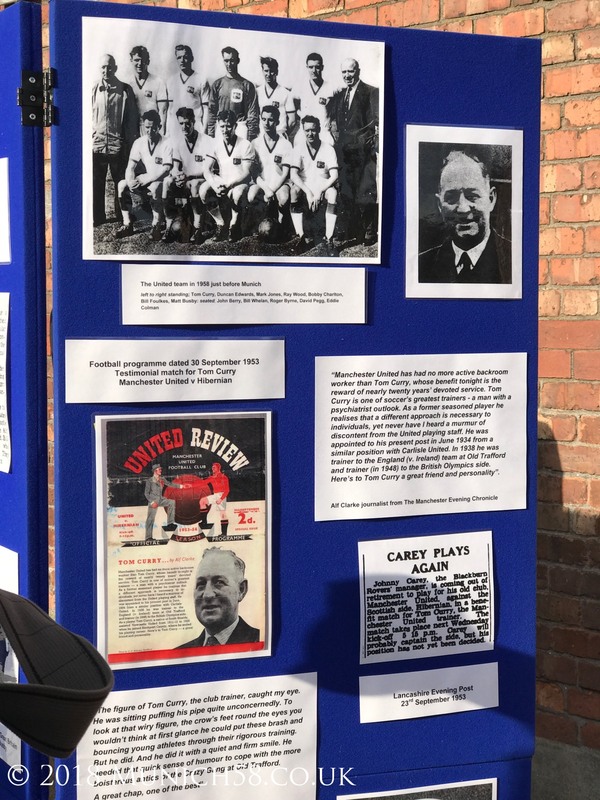 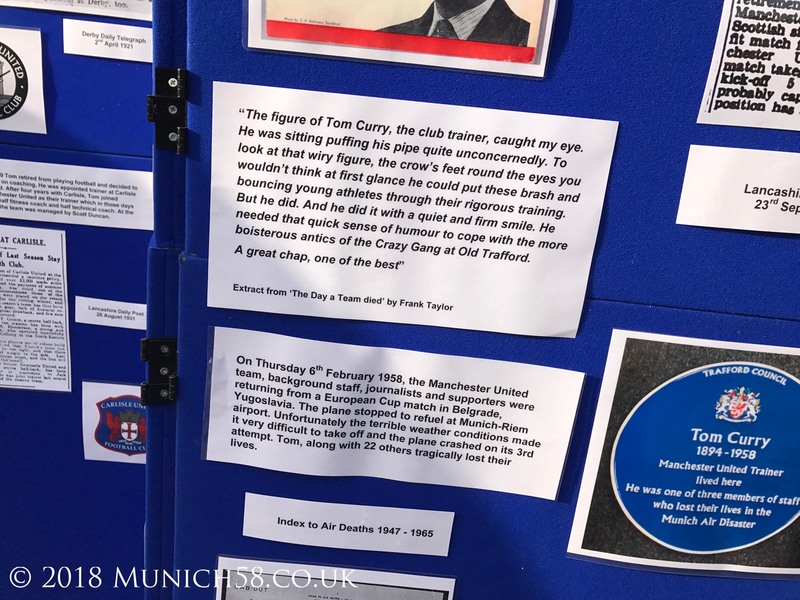 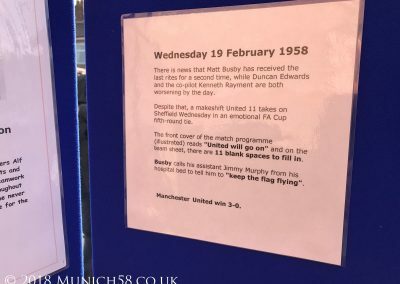 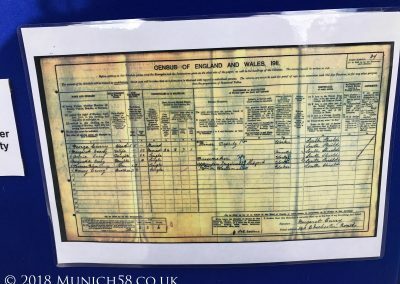 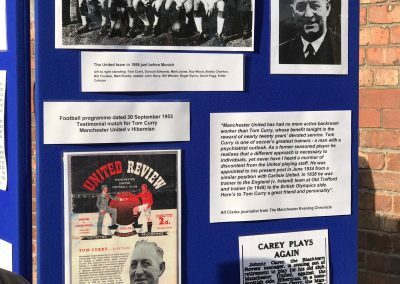 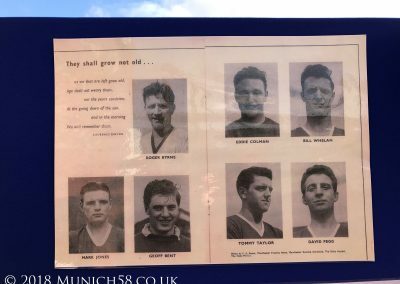 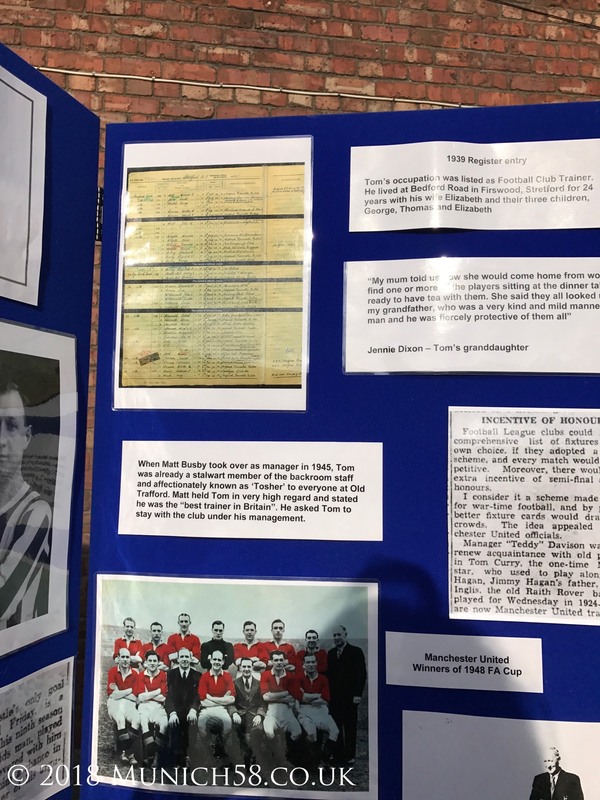 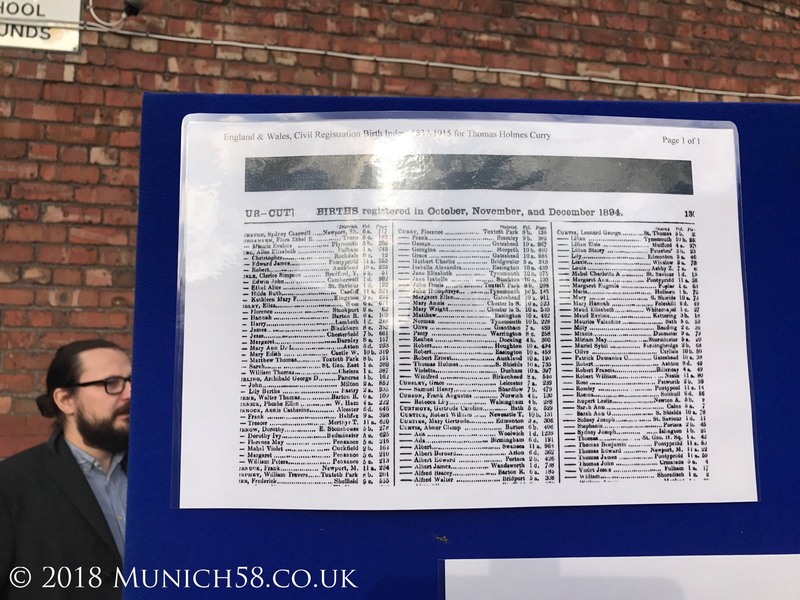 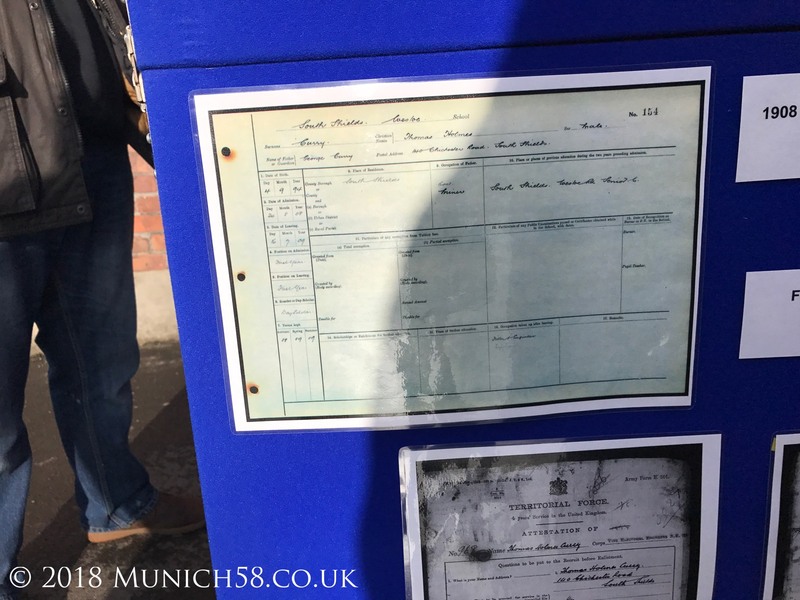 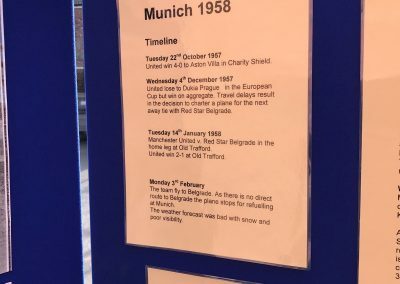 To commemorate the 60th anniversary of the Munich air disaster, Trafford Council have kindly approved a Blue Plaque in Tom Curry’s name. 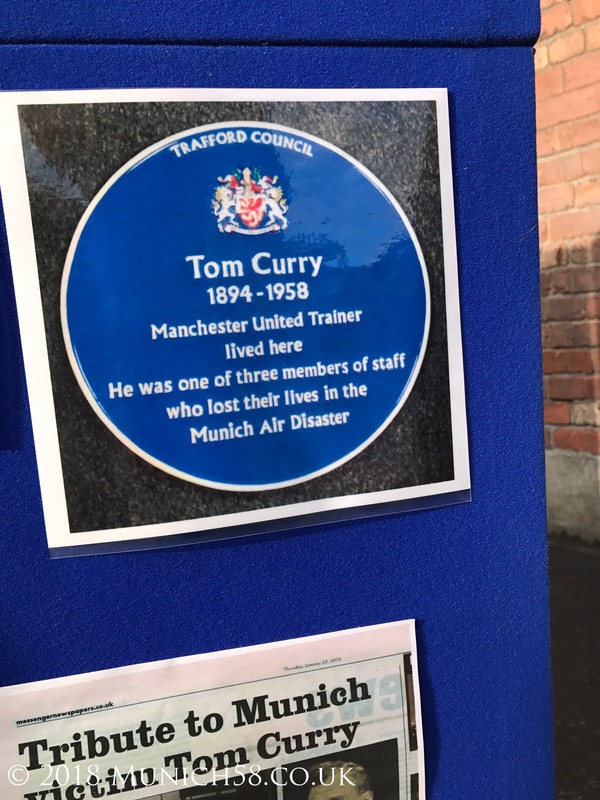 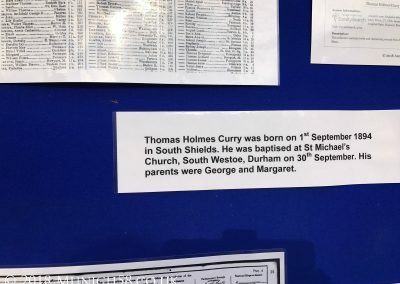 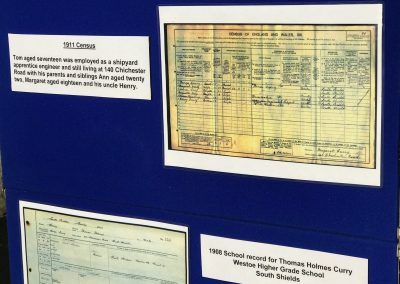 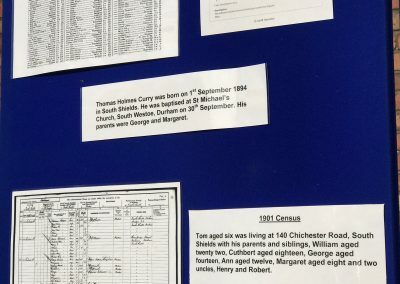 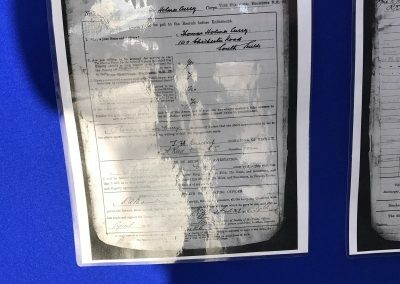 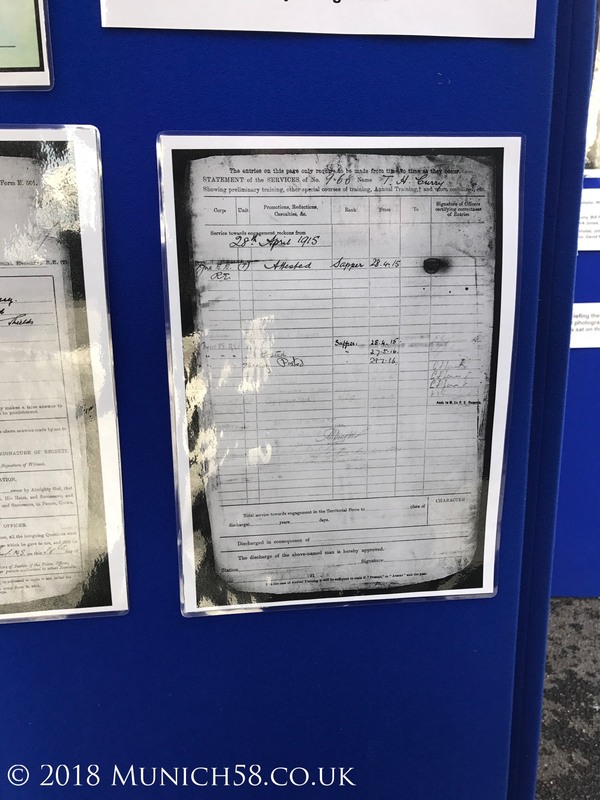 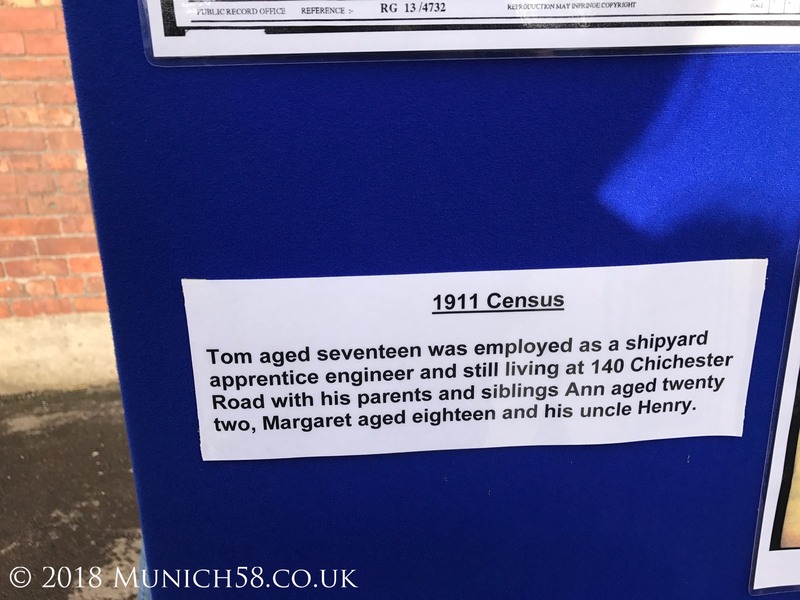 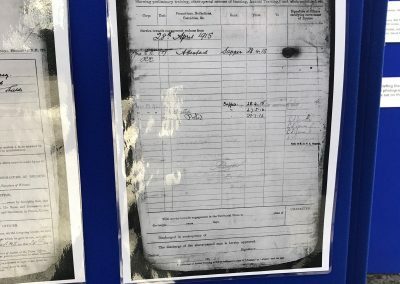 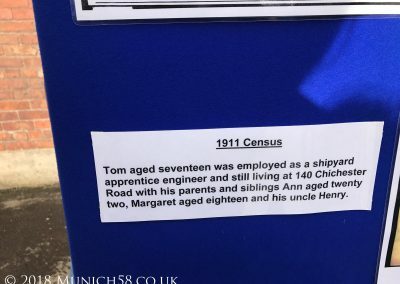 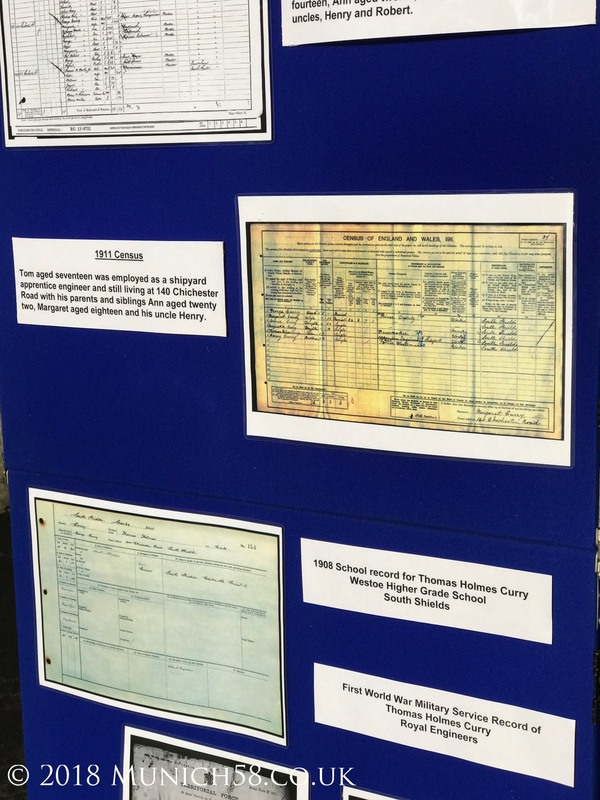 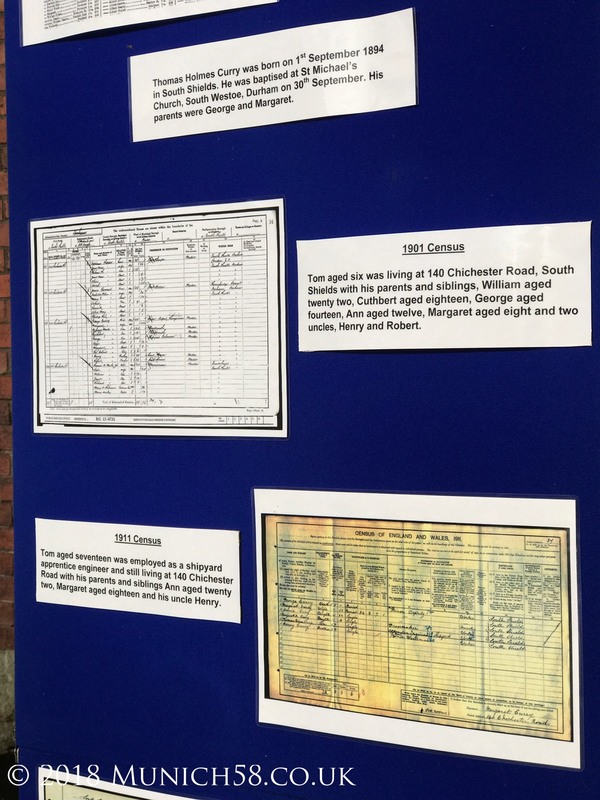 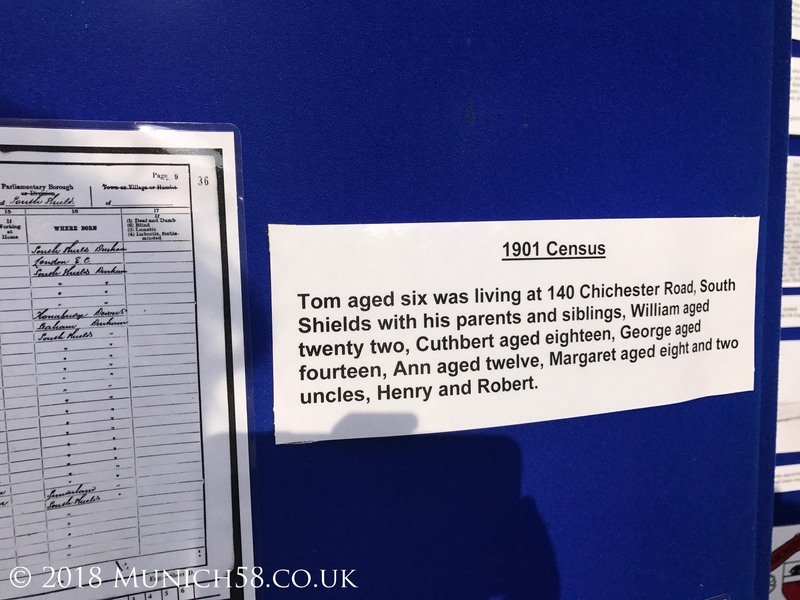 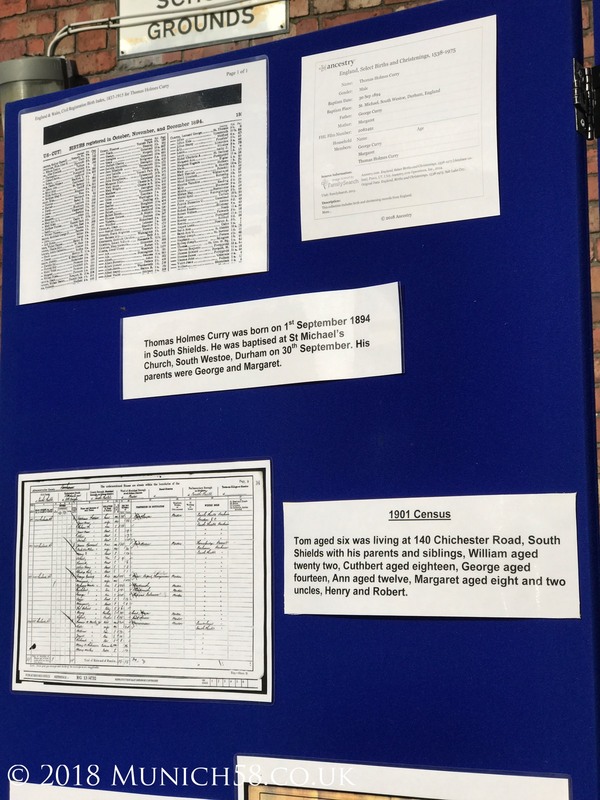 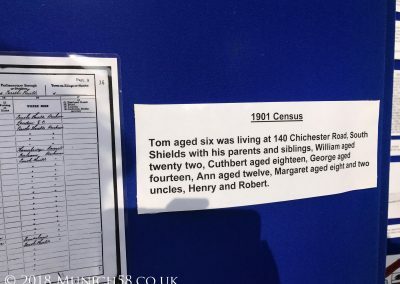 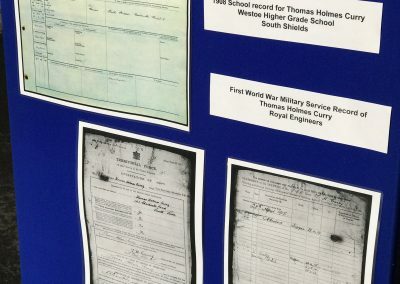 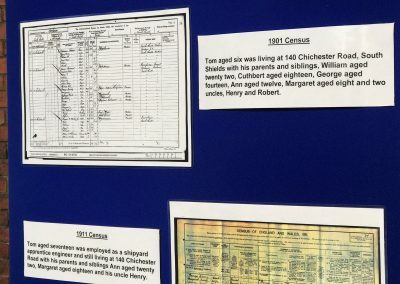 For 24 years, Tom lived with his wife, Elizabeth and their three children, George, Thomas and Elizabeth opposite St Teresa’s School in Firswood, Manchester. 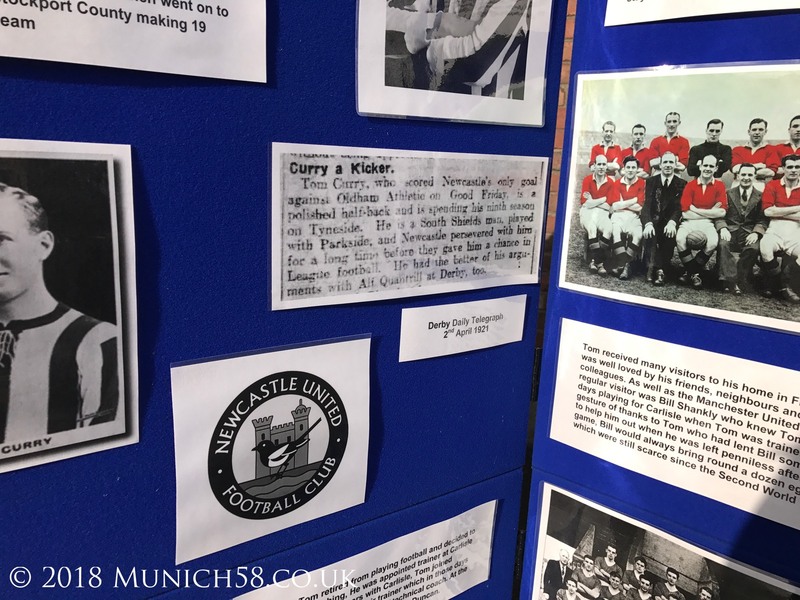 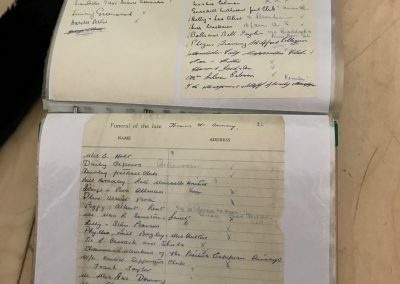 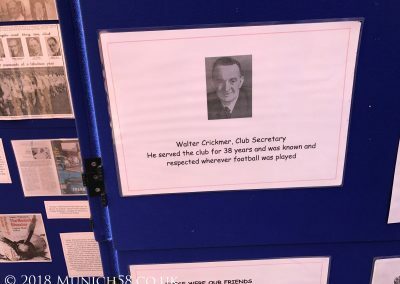 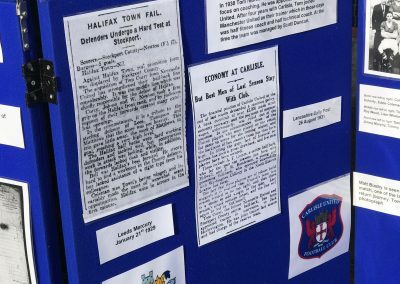 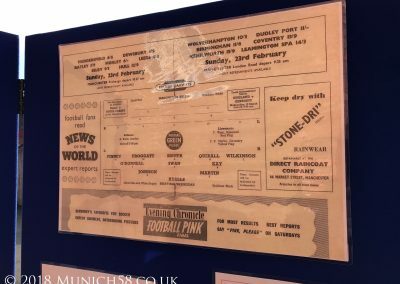 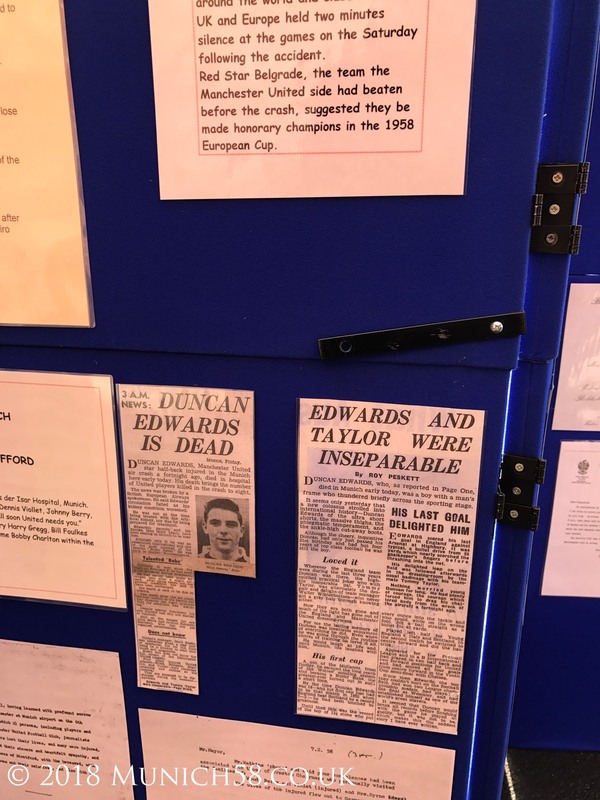 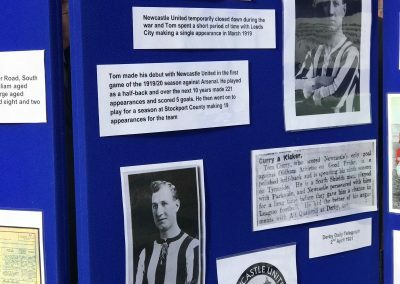 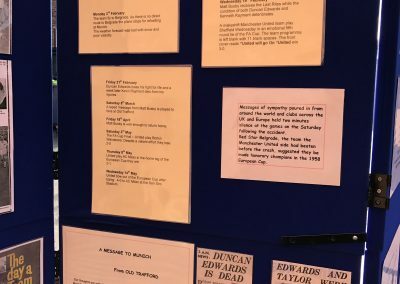 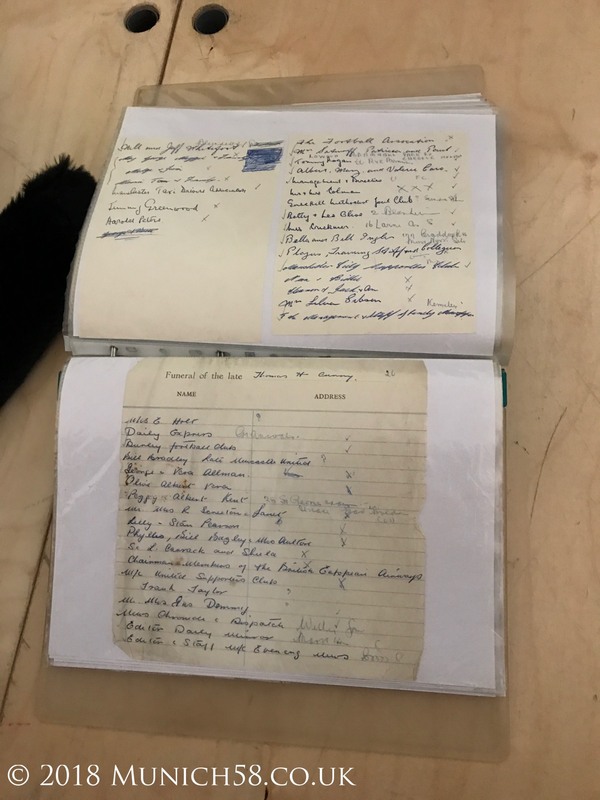 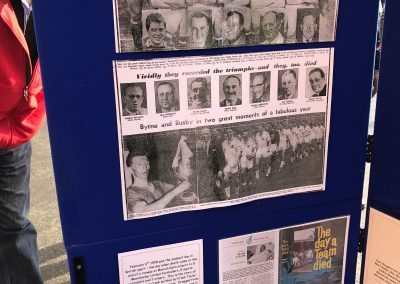 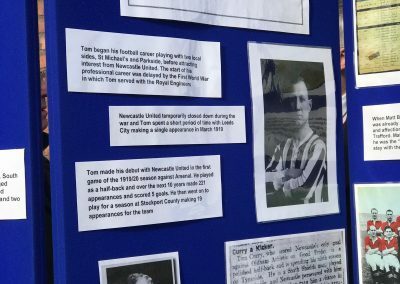 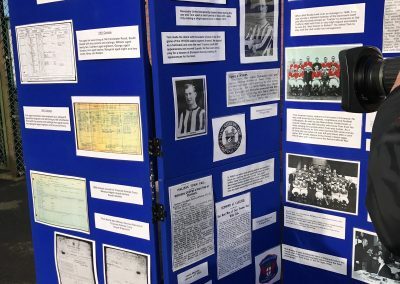 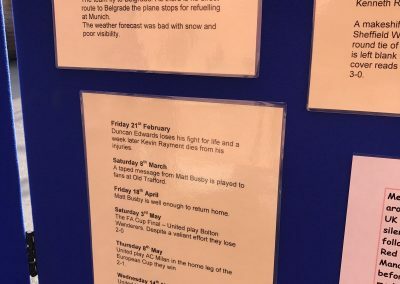 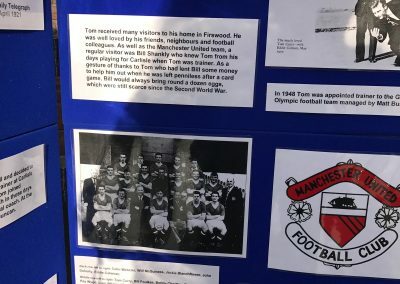 He was well loved by his friends, neighbours and football colleagues – many of whom regularly came to visit him at his home. 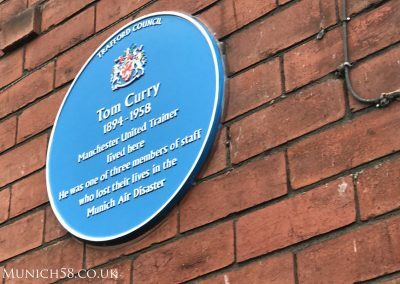 Most of the young Manchester United players at the time lived nearby in digs, which – like Tom’s home – was just a short walking distance to Manchester United’s ground at Old Trafford. 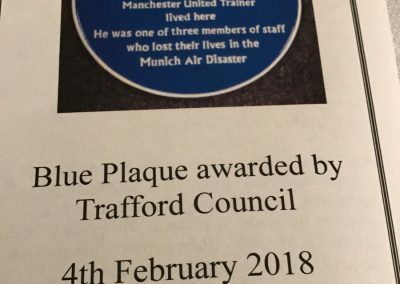 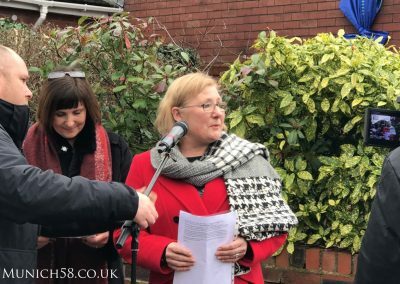 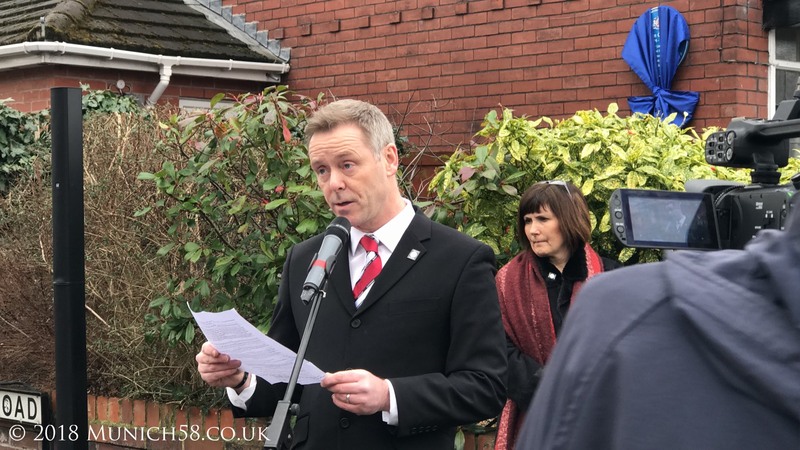 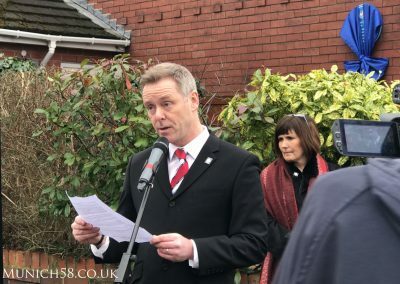 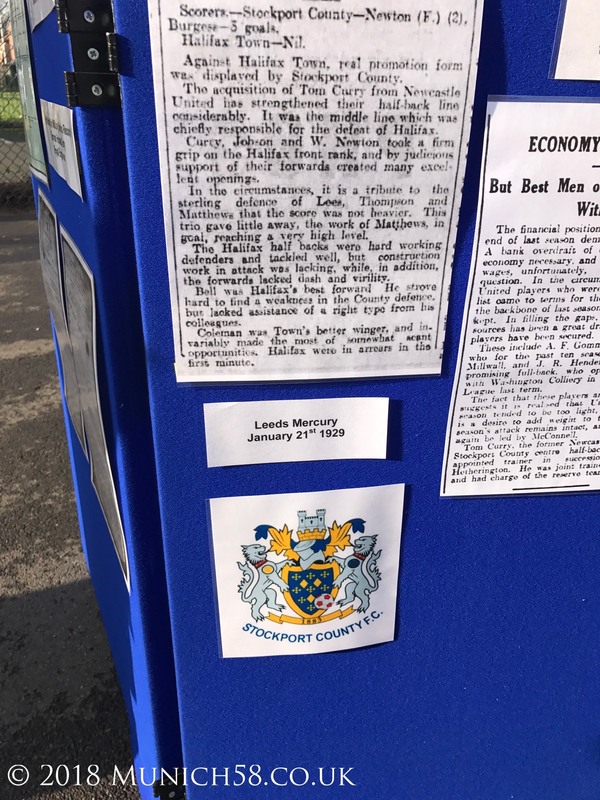 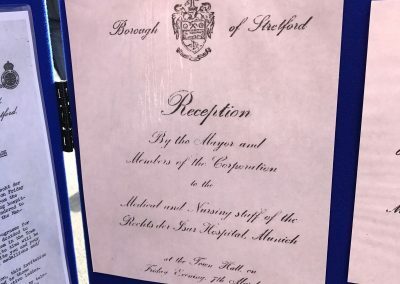 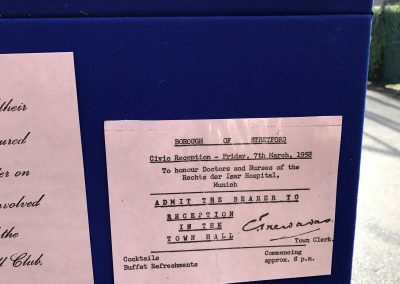 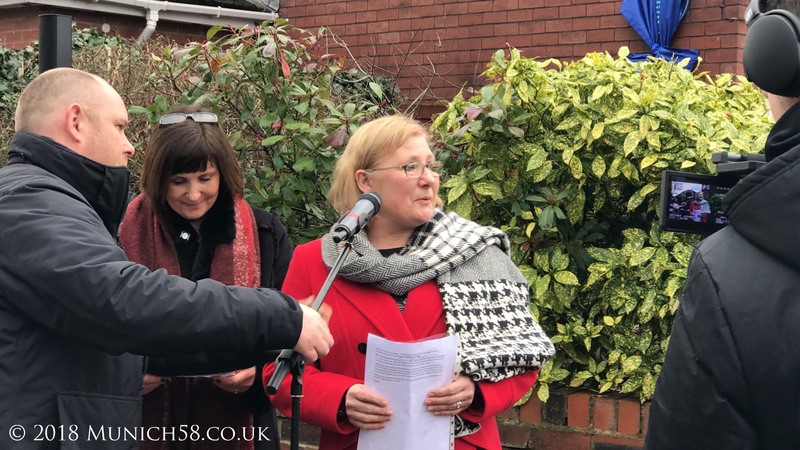 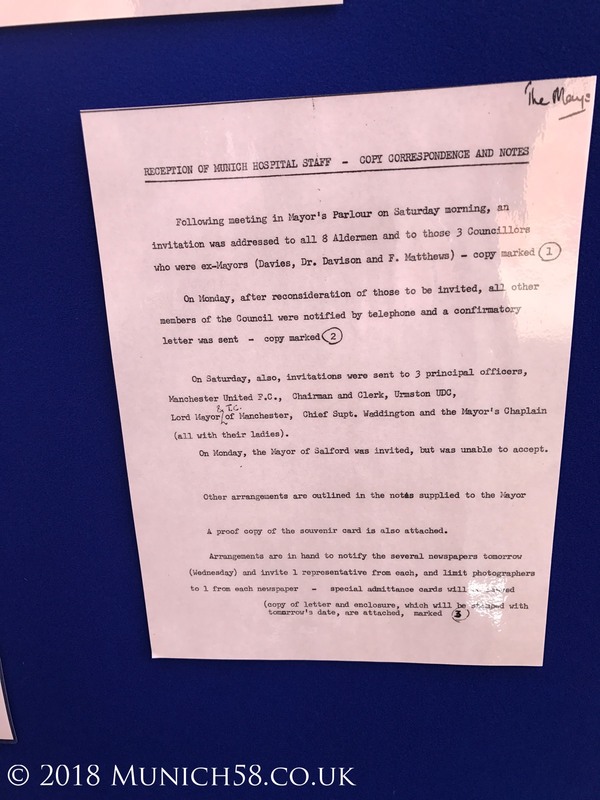 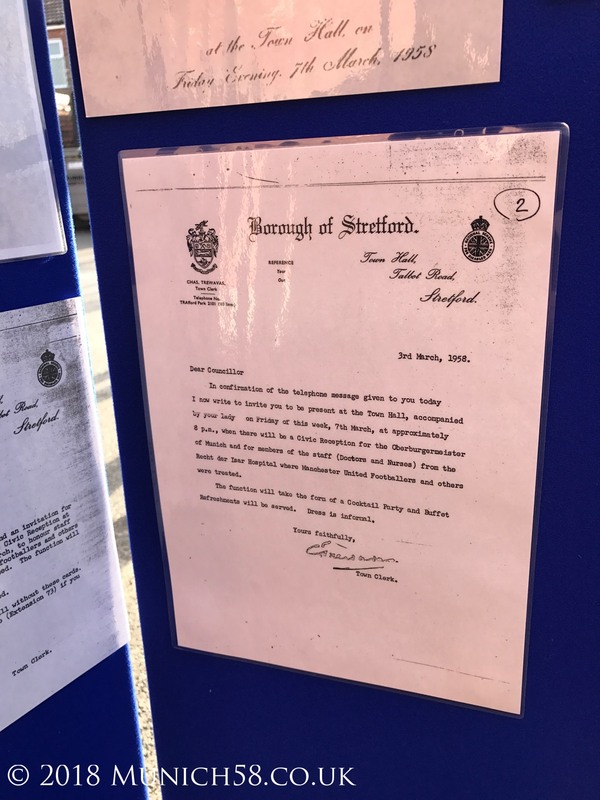 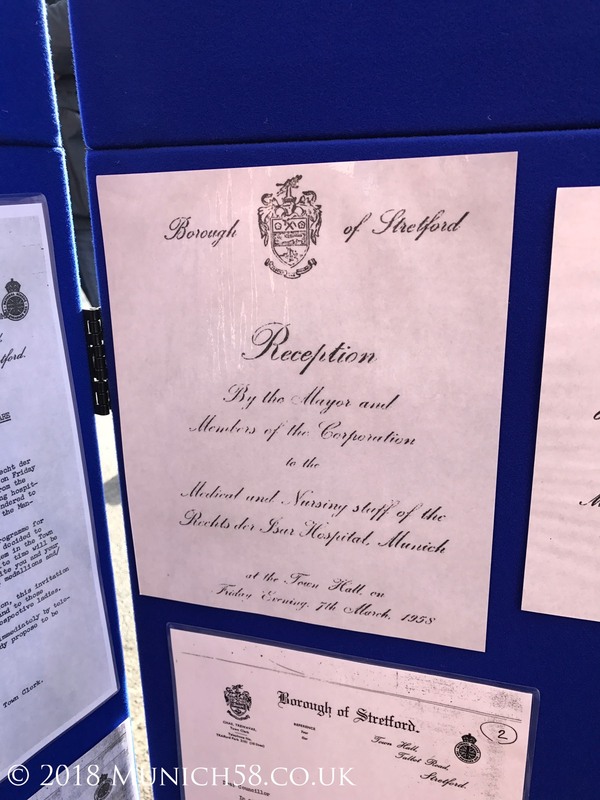 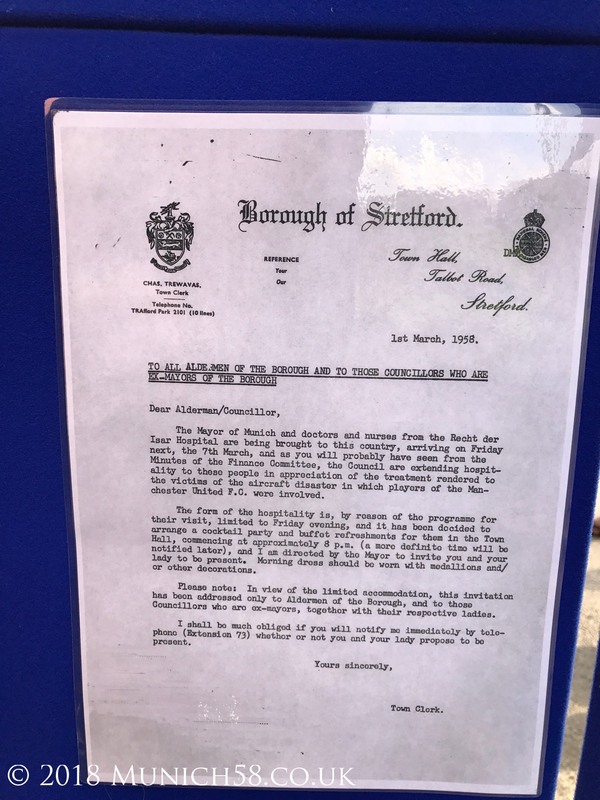 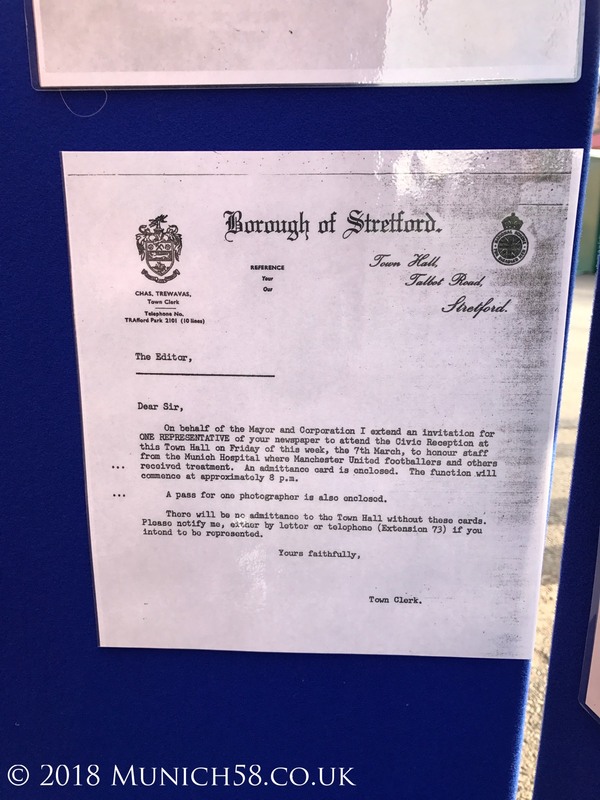 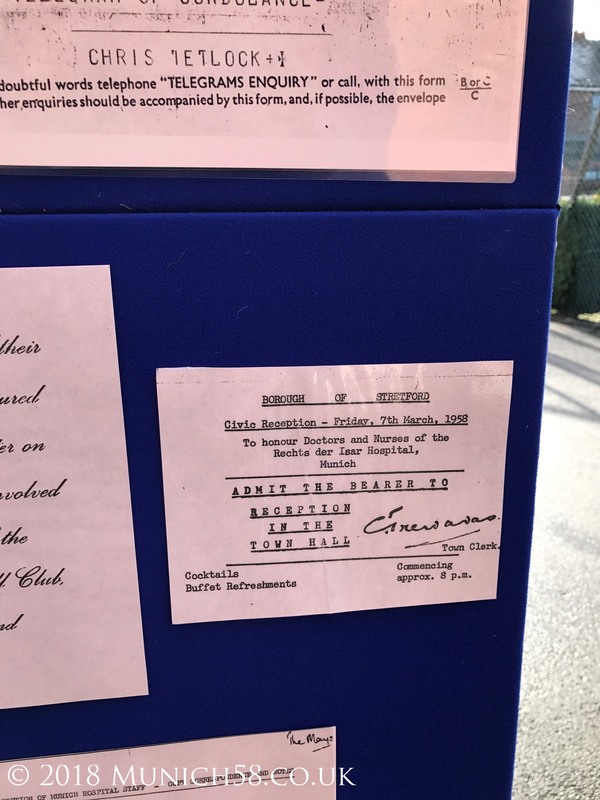 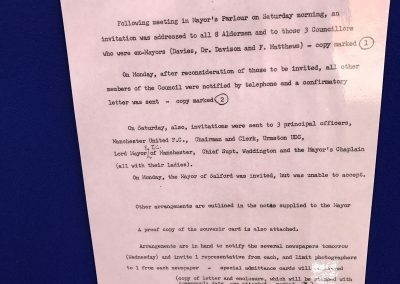 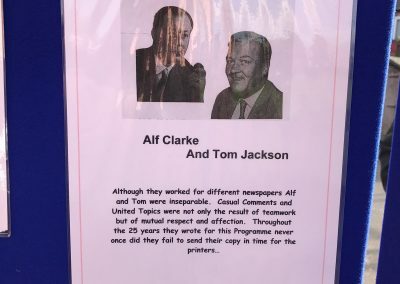 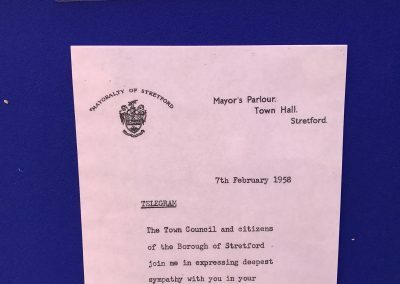 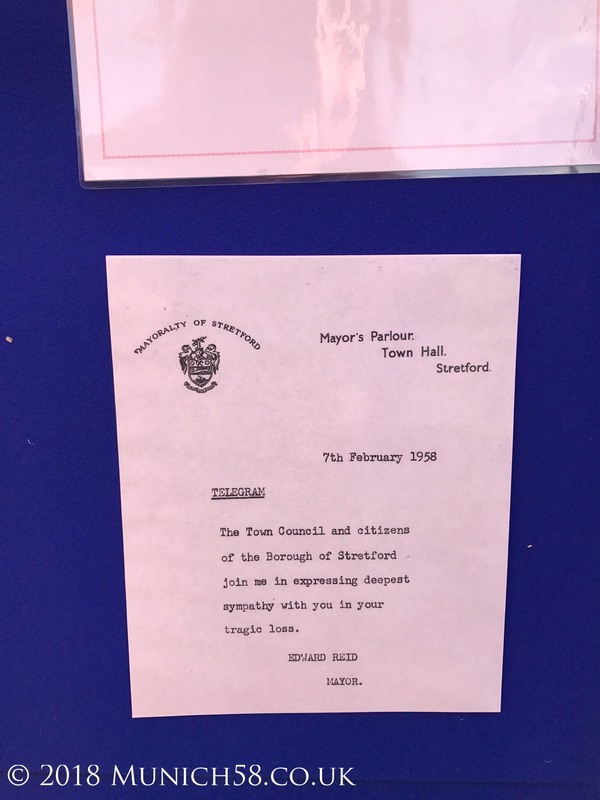 We were invited to the plaque unveiling. 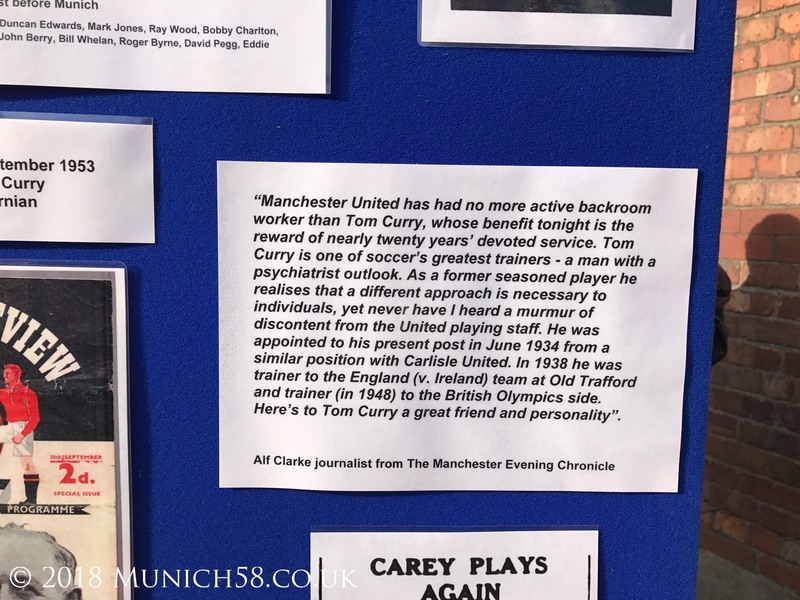 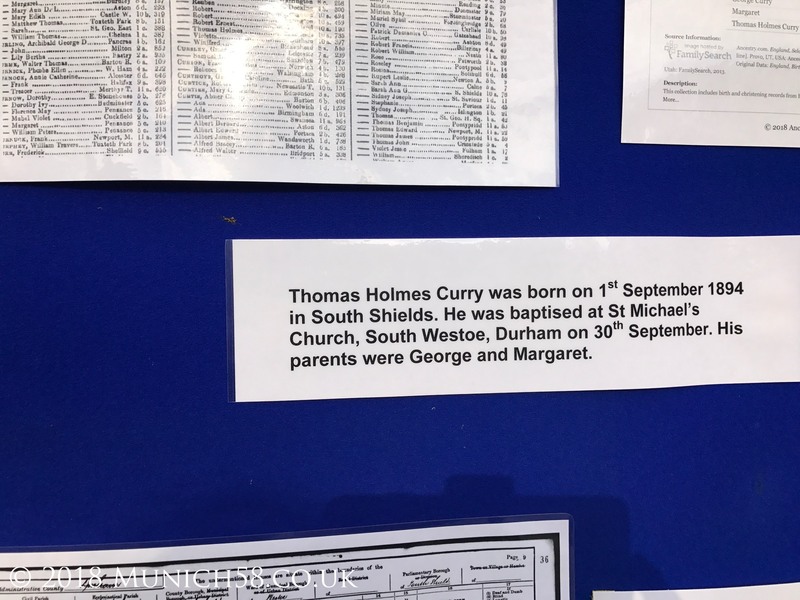 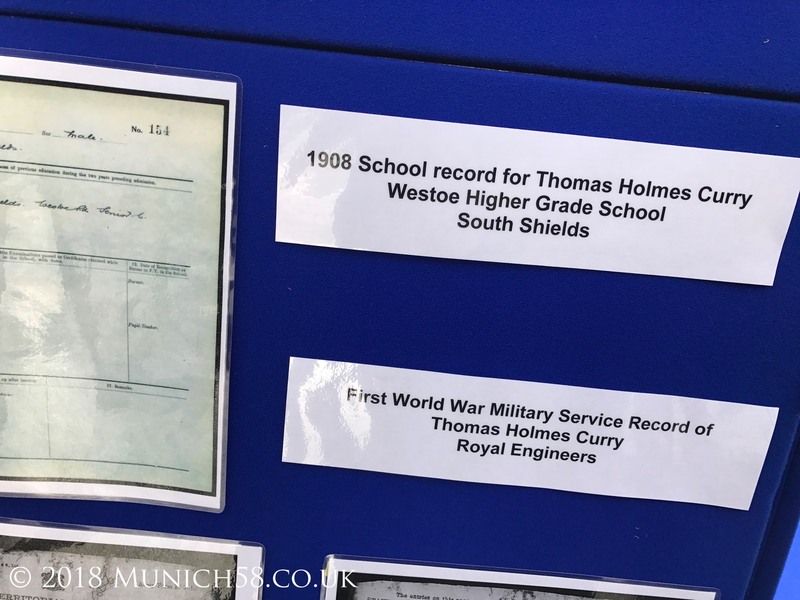 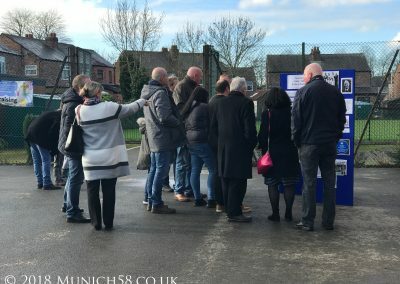 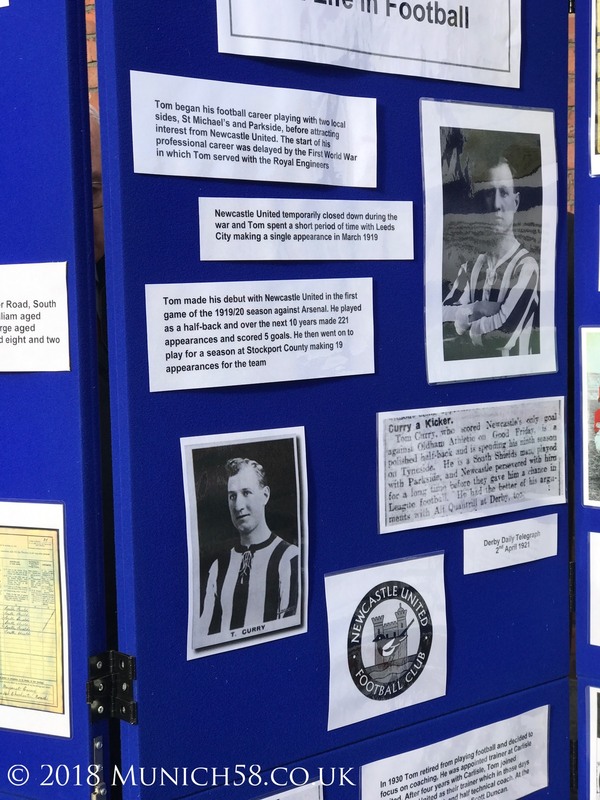 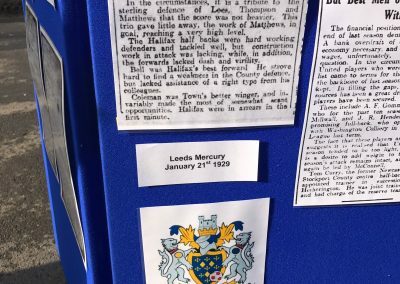 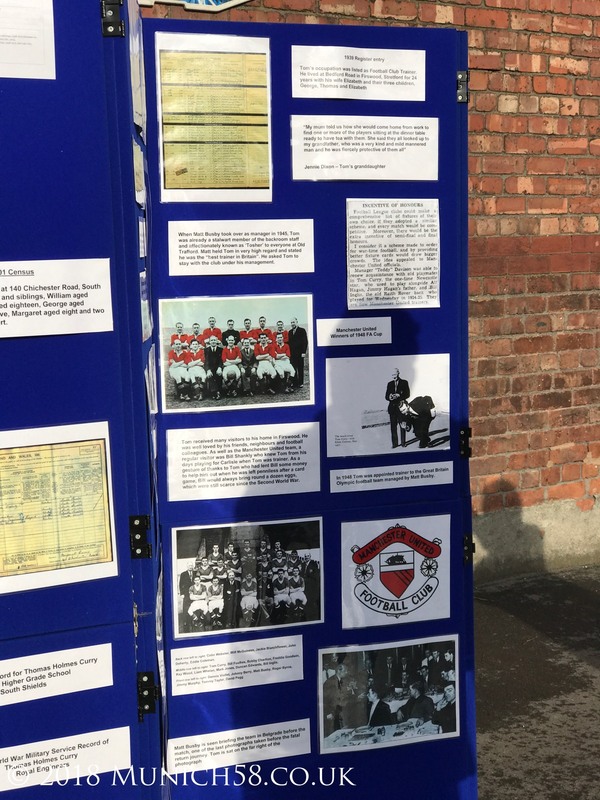 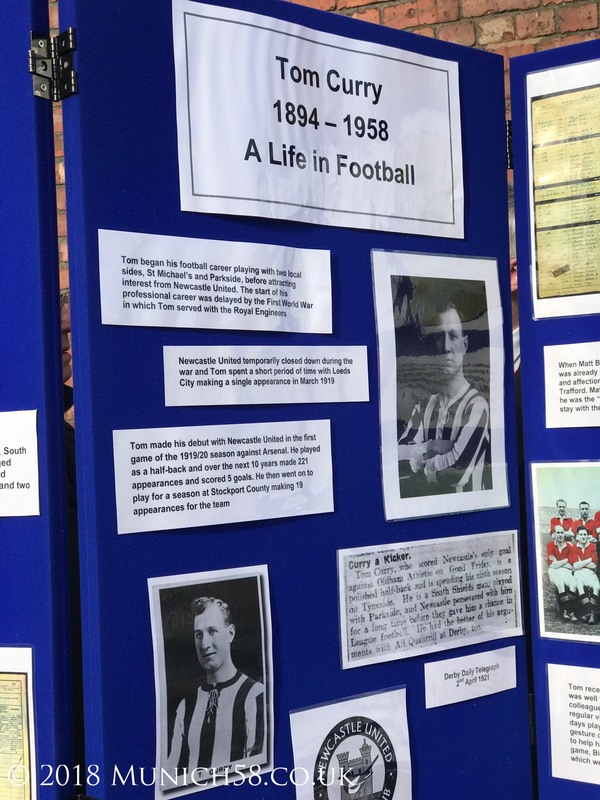 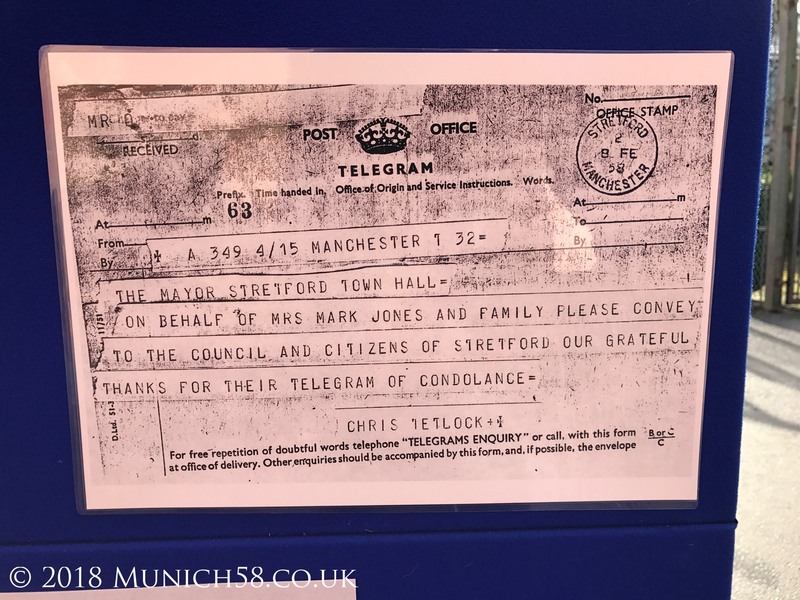 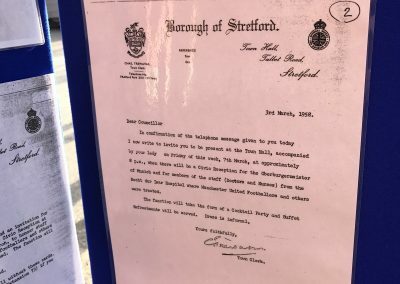 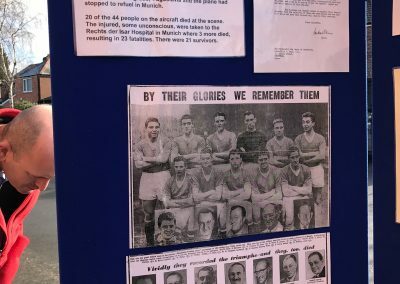 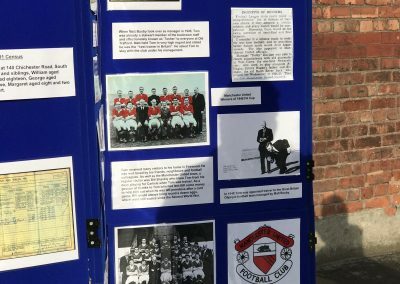 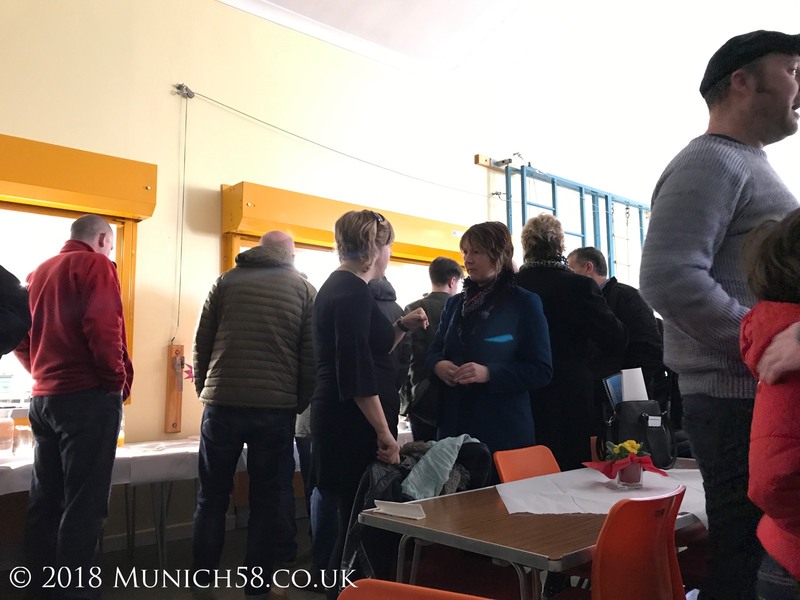 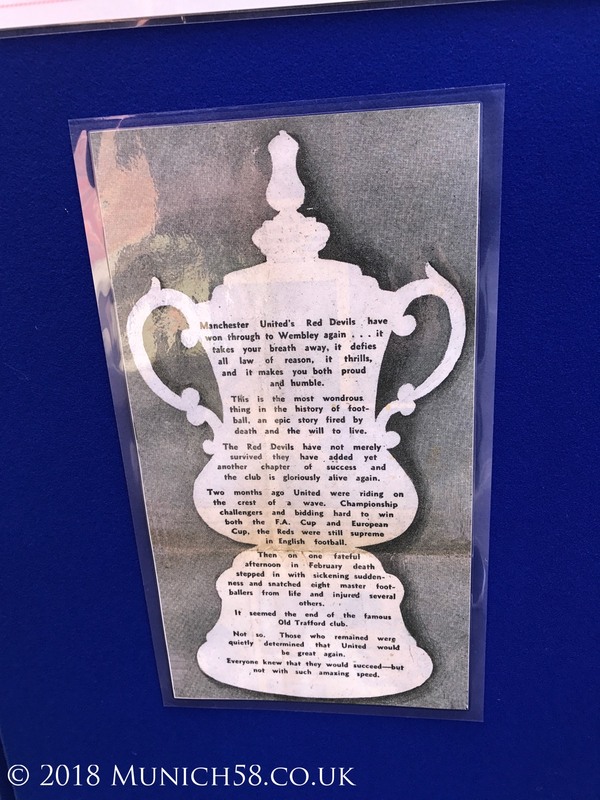 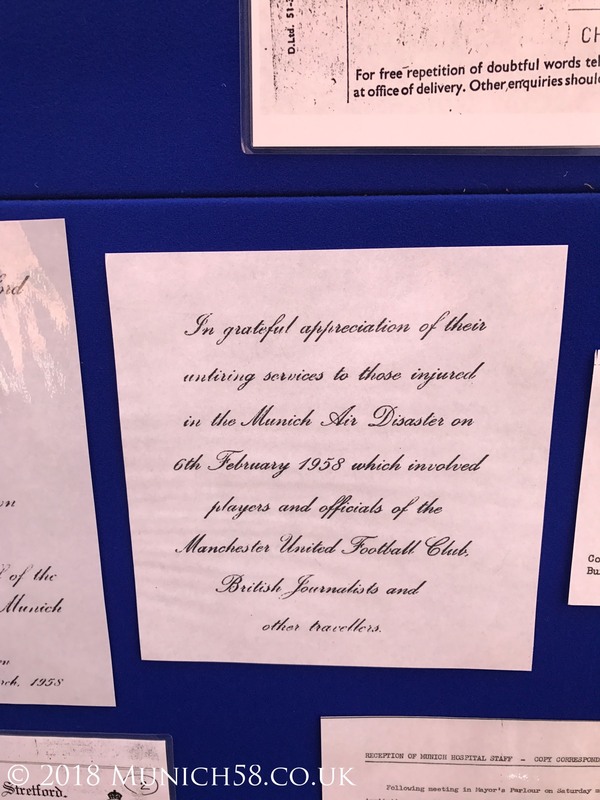 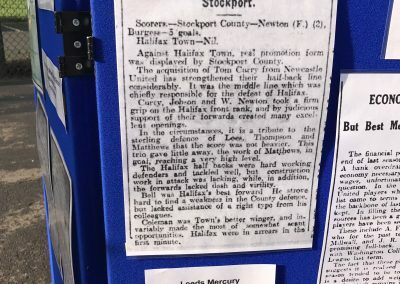 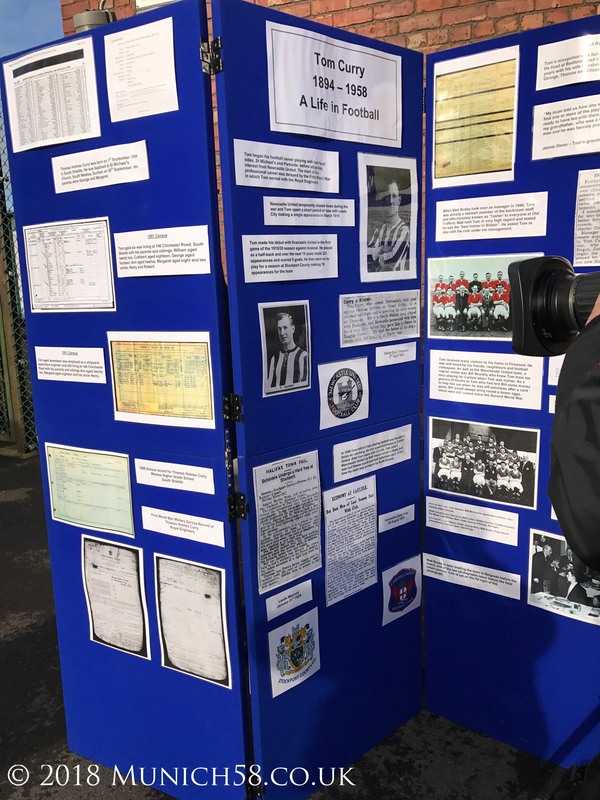 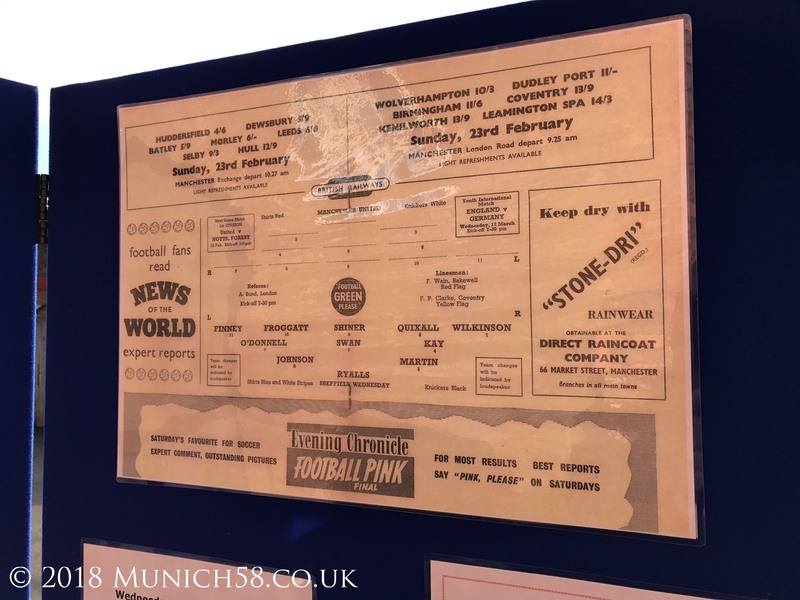 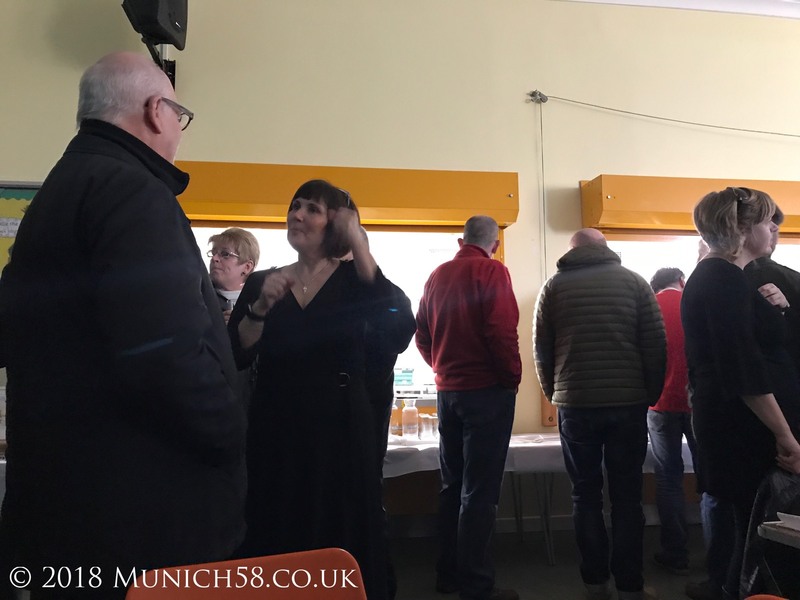 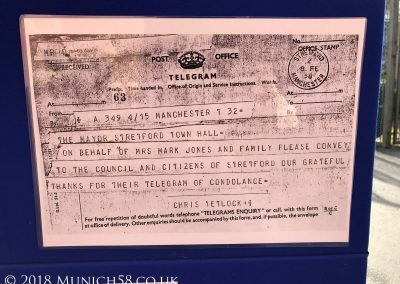 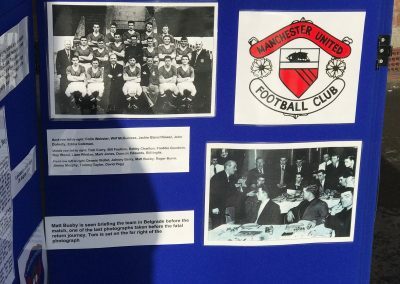 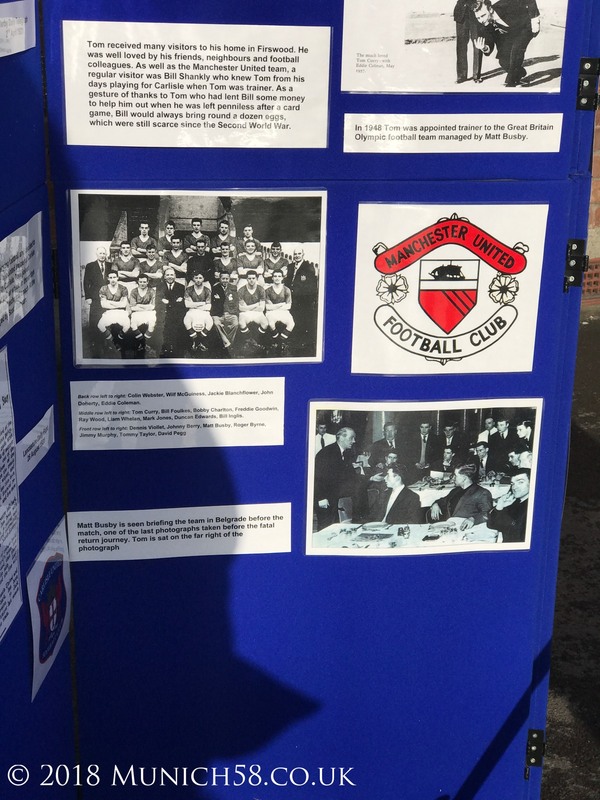 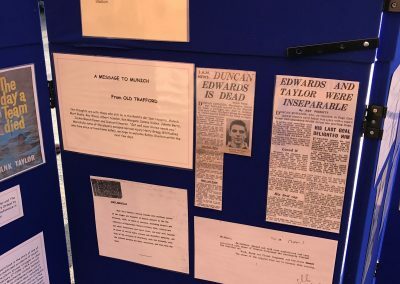 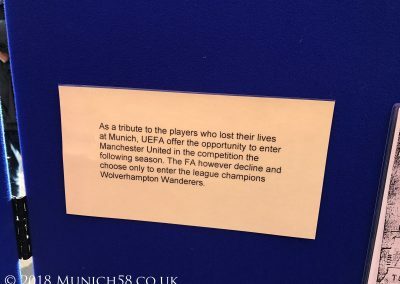 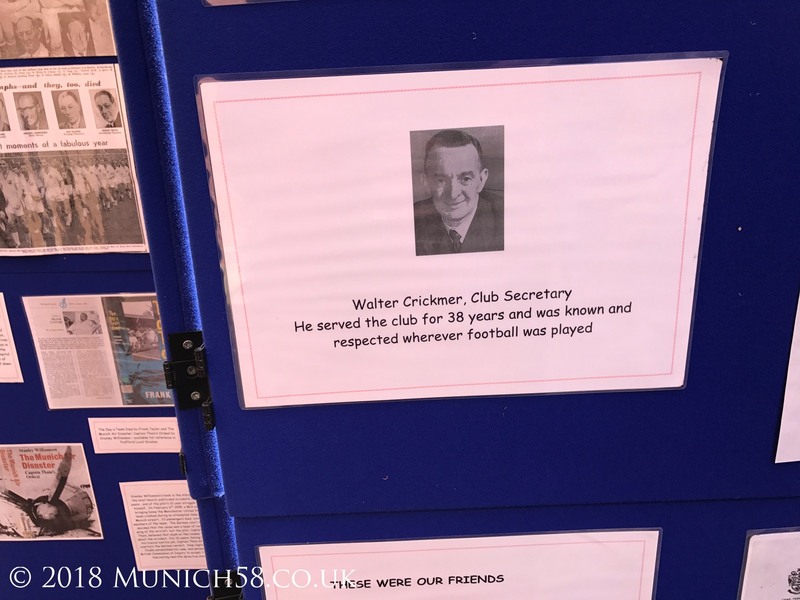 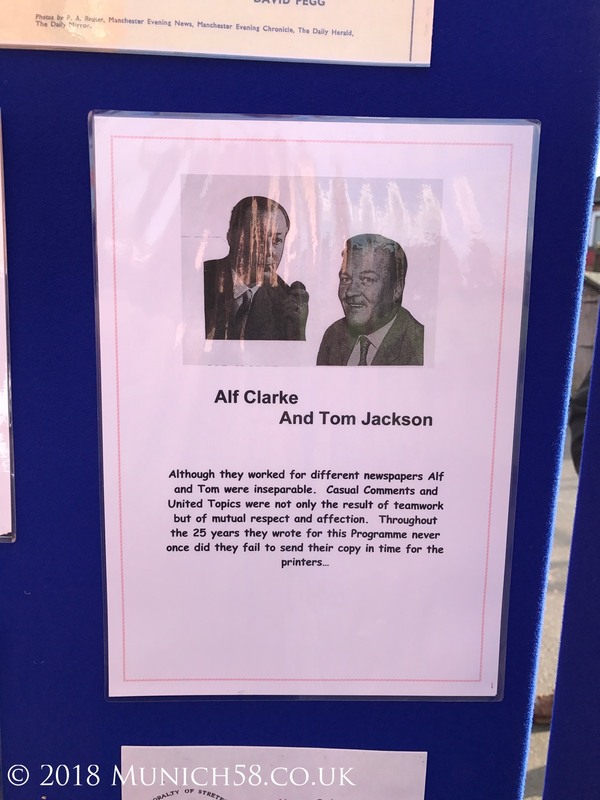 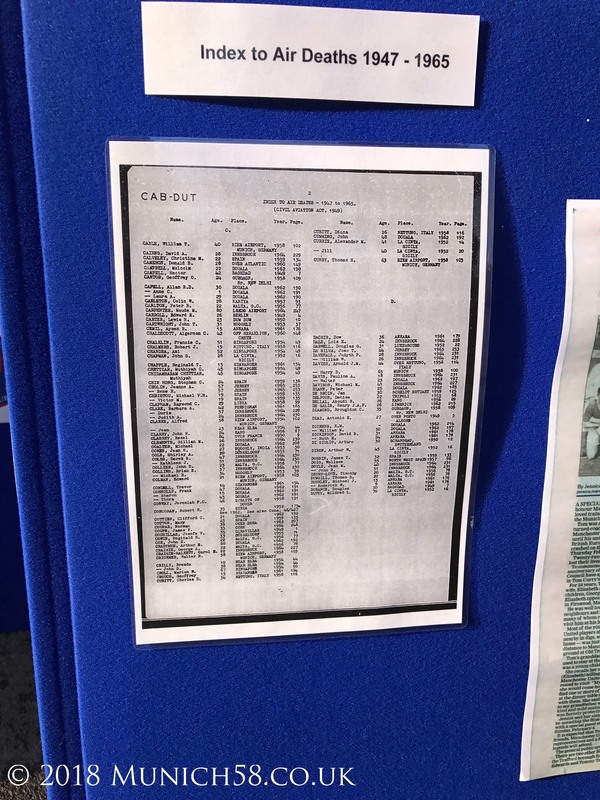 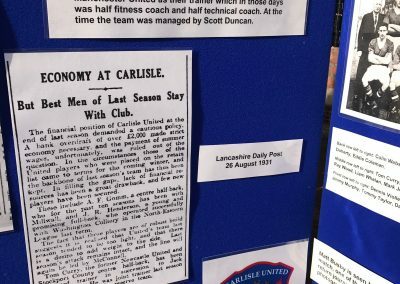 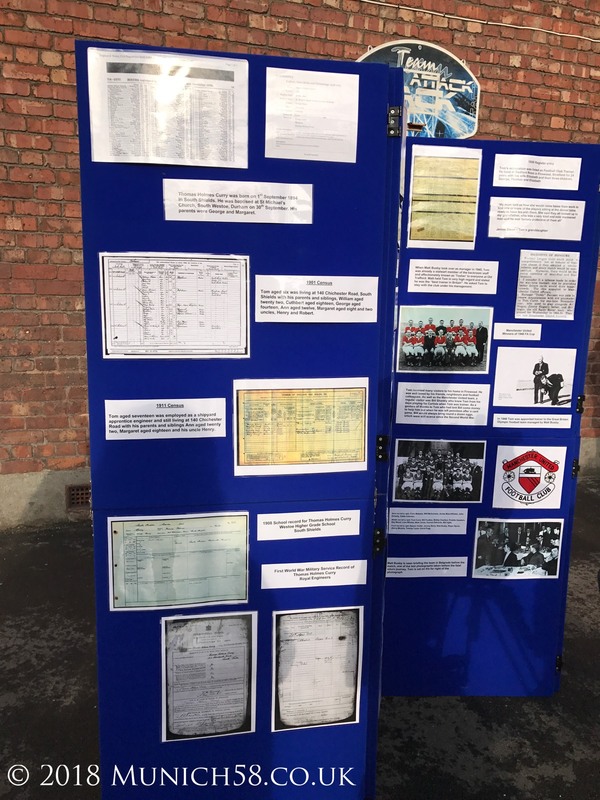 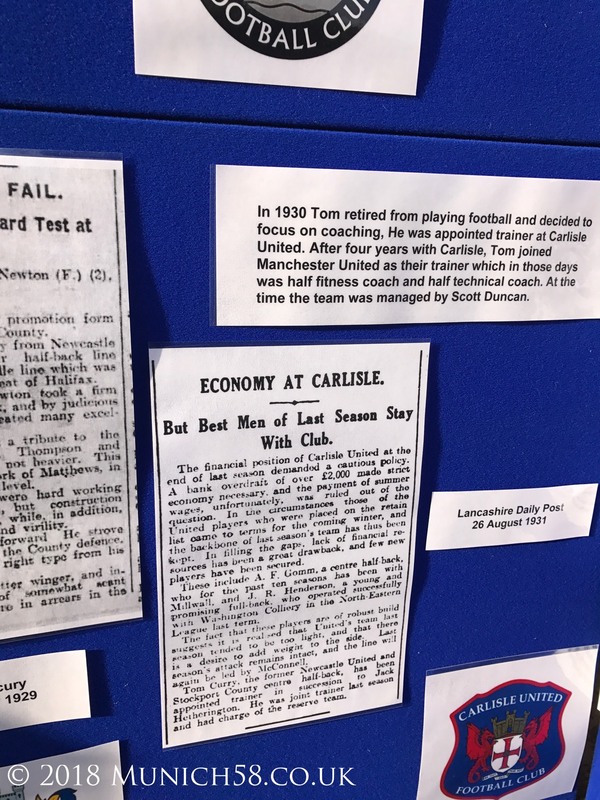 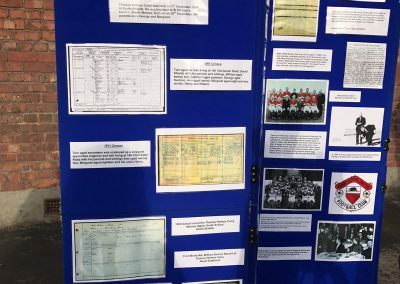 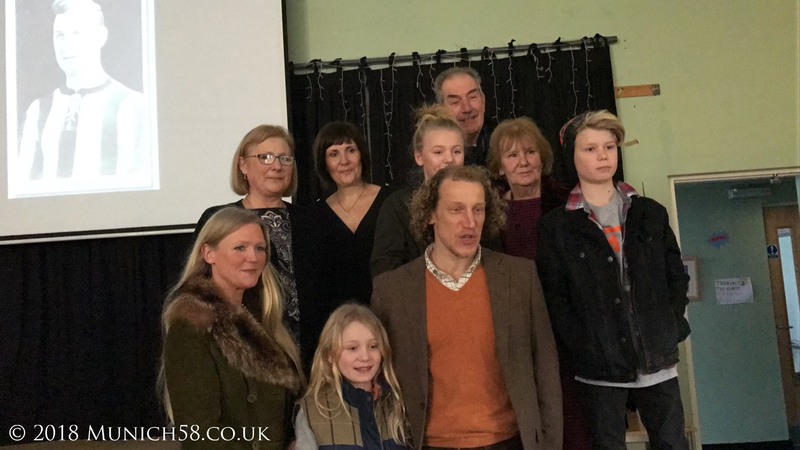 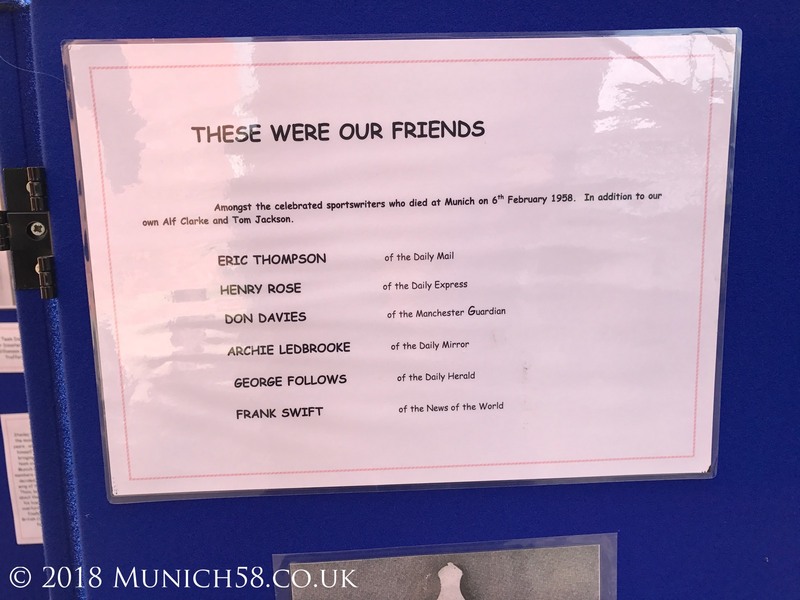 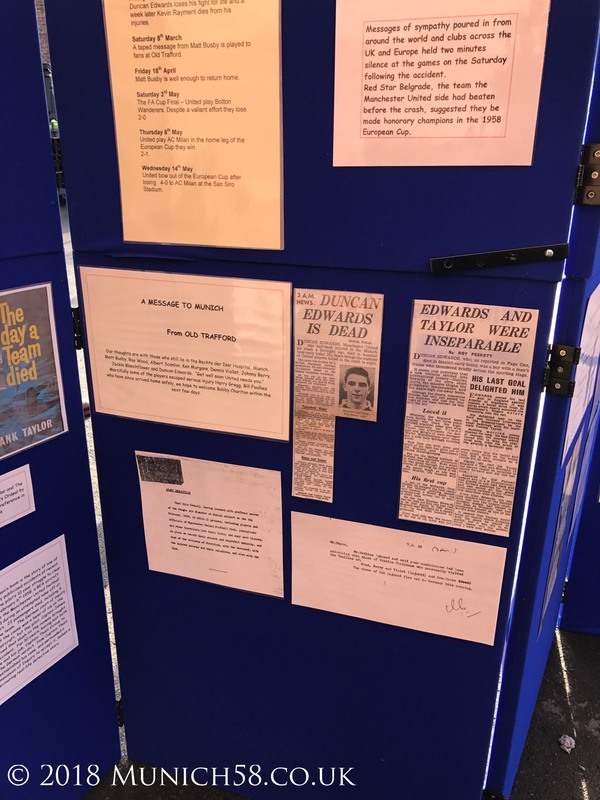 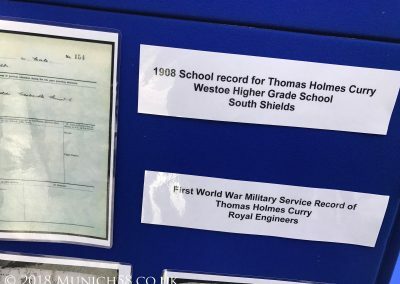 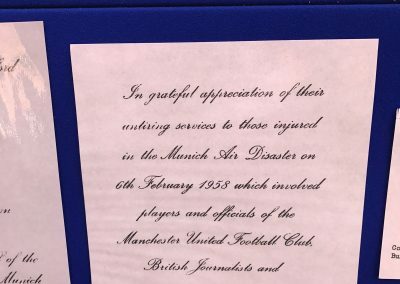 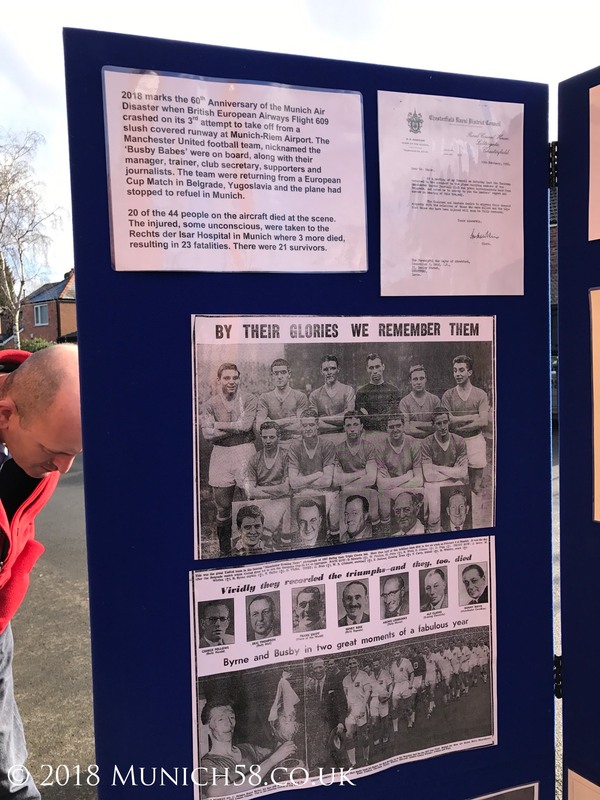 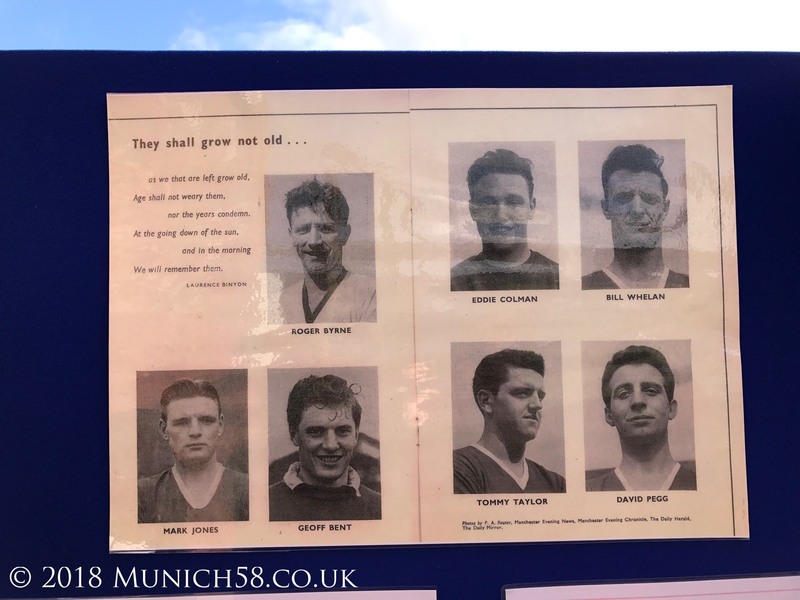 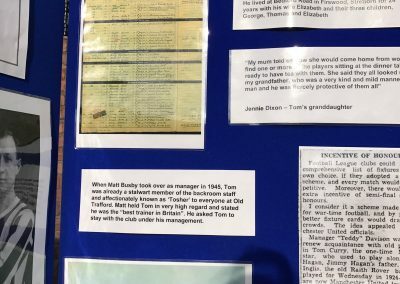 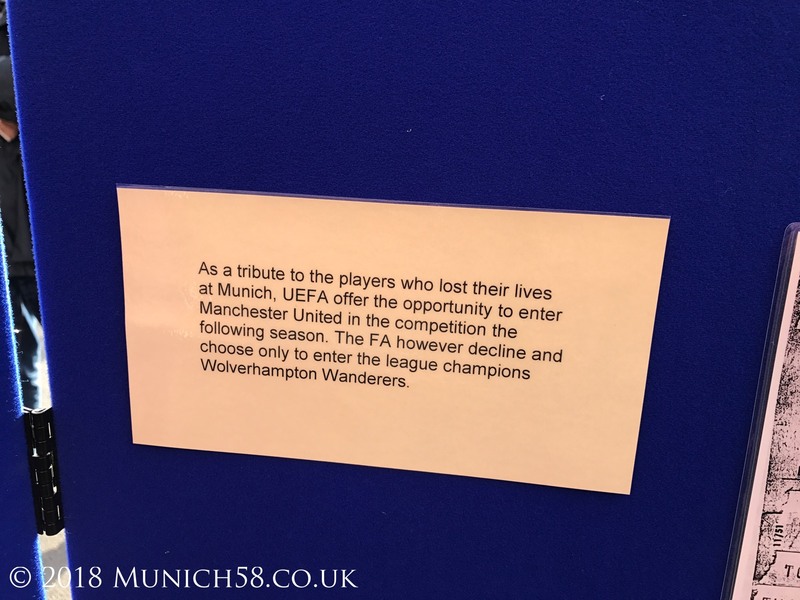 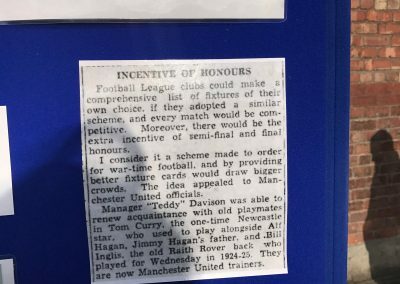 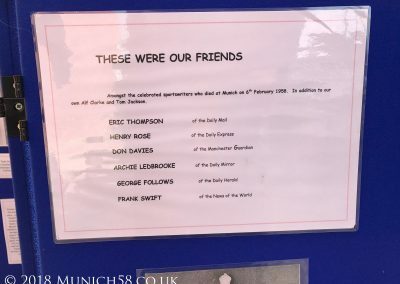 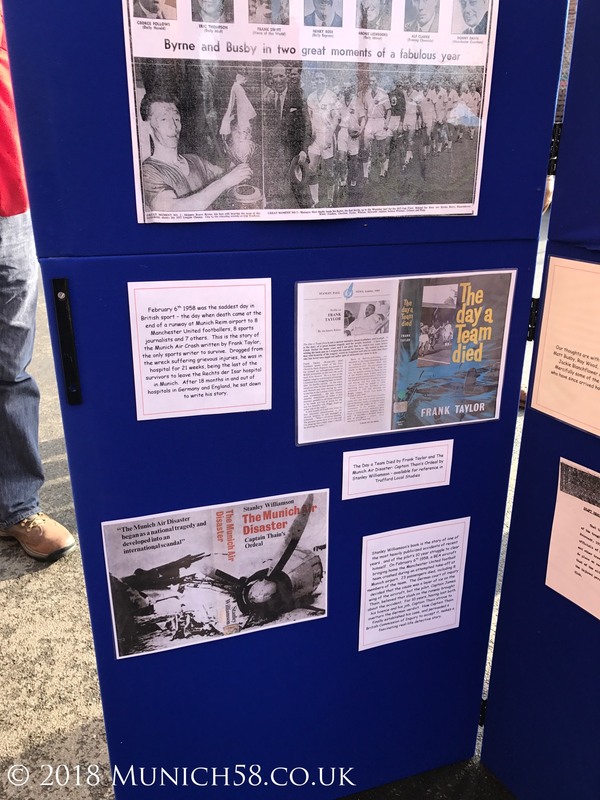 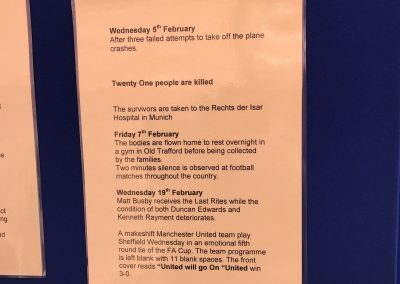 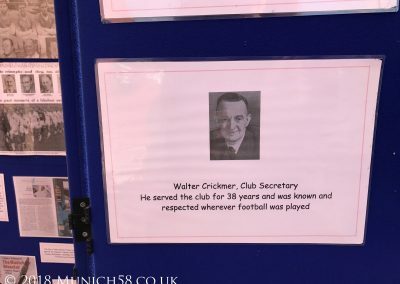 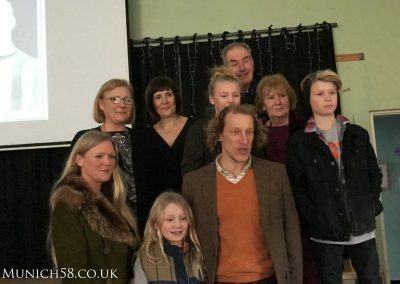 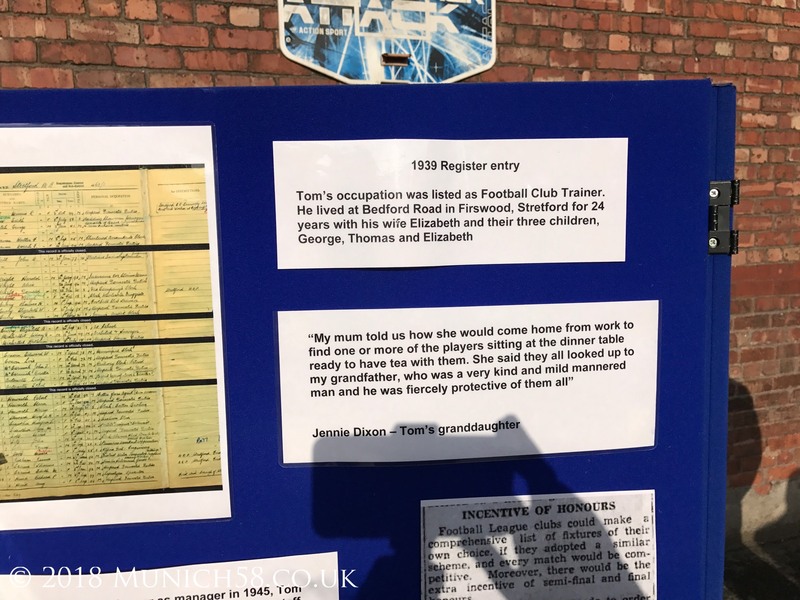 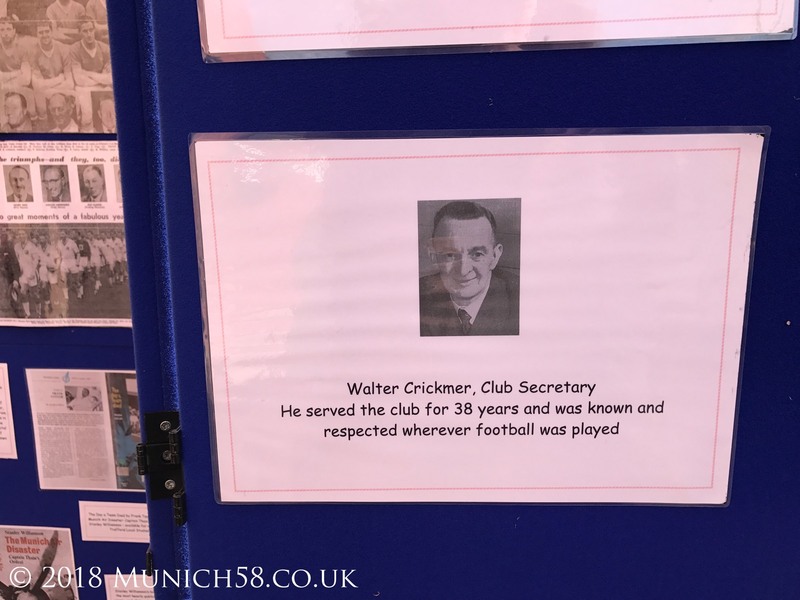 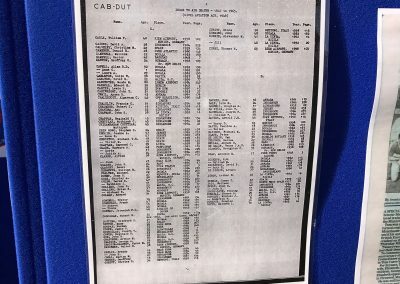 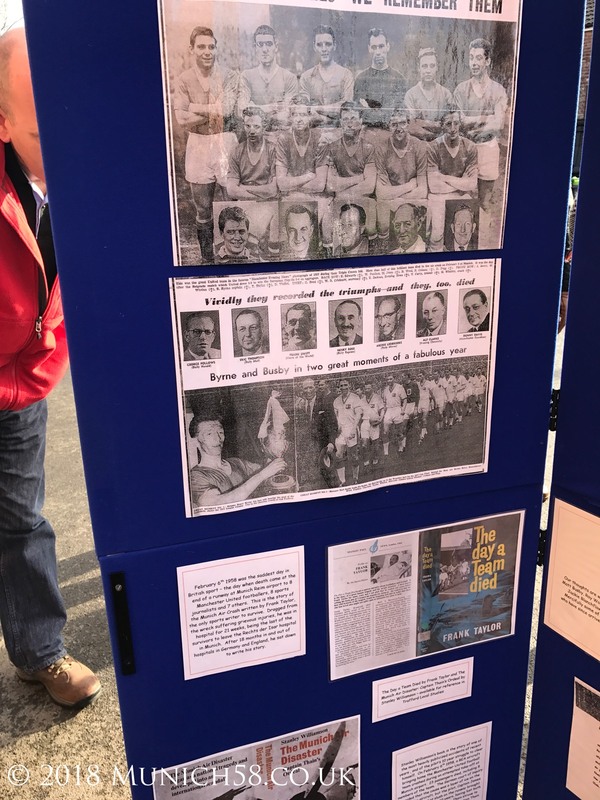 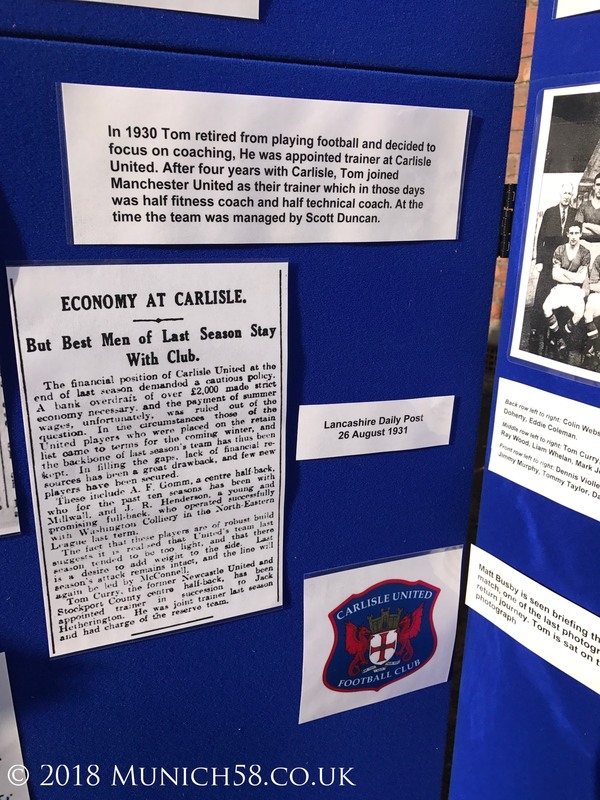 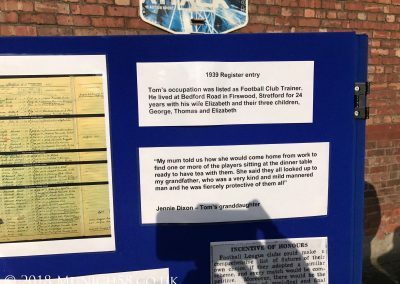 Also in attendance were Tom’s family and friends, representatives from Manchester United, a few former players and members of the general public.